Have you tried looking for a vacuum before? The decision can be daunting. Do you opt for the cheapest? Or go with the most expensive in the hopes it will work the best? Sorting through the vast array of options to choose the right one can seem an impossible task. Luckily, you’ve come to the right place. We’ve taken the guesswork out of buying your new machine. By poring over the features, mechanics, and pros and cons of all the latest models, we’ve compiled the most thorough list of the best vacuum cleaners available to help you make your new purchase with ease and confidence. In each category, the vacuums are ranked from 1-10 based on both performance and value. But first, let’s explain a bit about the makeup of modern vacuum cleaners. 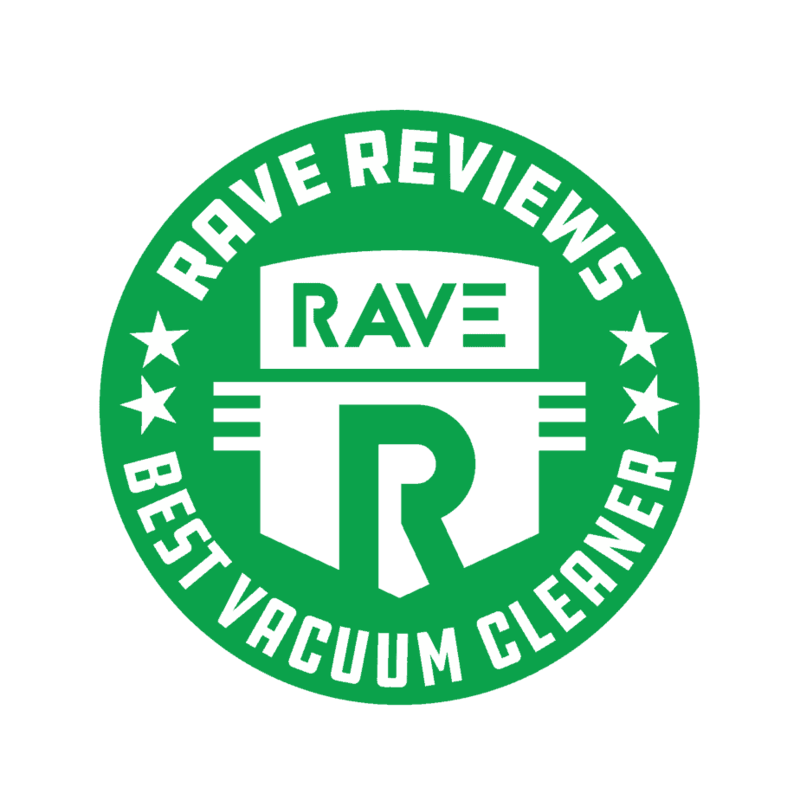 What makes the best vacuum? The best vacuum cleaners all share a few things in common. They will be durable and long-lasting; have high enough suction power to pick up any dirt, debris, and hair they pass over; and will be versatile. They won’t be prone to breaking, shorting, or losing power, and will be light enough to maneuver around your house easily. Many models will have added features, like specialized pet hair cleaning attachments, extended hoses, or easy-empty dirt canisters. The ones we’ve included on our list are broad and varied enough to cover any of your cleaning needs. But choosing what one is right for you will depend on a lot of personal factors. What should you look for when choosing a new vacuum cleaner? There’s a lot to consider before you make a big purchase like this, but here are some of the basics. You might think that you have to dish out hundreds and hundreds of dollars to get a decent vacuum, but we’ve included models on our list for every budget. Think about what you want from your new machine and look for a variety that won’t break your bank. Our rankings are based on a value metric, so you’ll be able to compare performance with cost. What space will you be cleaning the most? If you have a 5000 sq. ft. ranch, a handheld or stick vacuum isn’t going to cut it. You want something that has powerful suction and a long cord (or is robotic!). If you have a lot of upholstery you might want something that includes attachments specifically for that. Consider what space you’ll be using it in to help you determine which variety will suit your needs. Not all vacuums are created equal. While a certain model might be perfect for picking up dust and debris, it might not work at all for pet hair. If your furry friends shed a lot, you’ll want to pick a model with high suction power specifically designed for picking up fur. Is the noise factor important? If you’re a late-night cleaner living in an apartment or condo, you’ll want a vacuum that emits as little noise as possible. A lot of the cheaper models make a lot of noise, so you’ll want to check that first. To help you choose the perfect vacuum for your needs, we’ve divided our list into 5 categories. 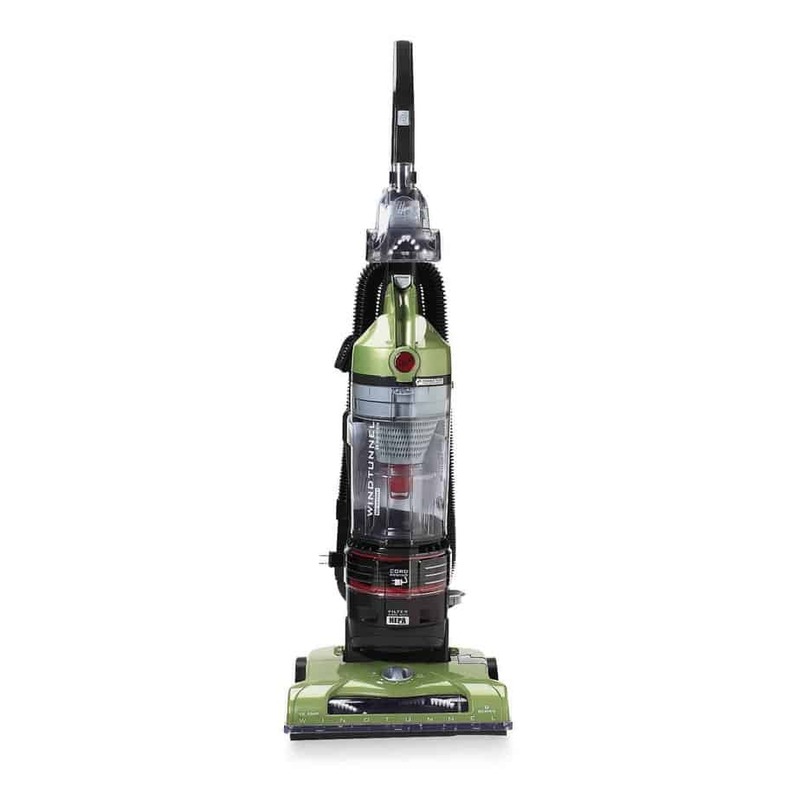 Each category ranks ten vacuum cleaners, starting with our highest rated. We’re certain you’ll be able to find the perfect machine for your needs! 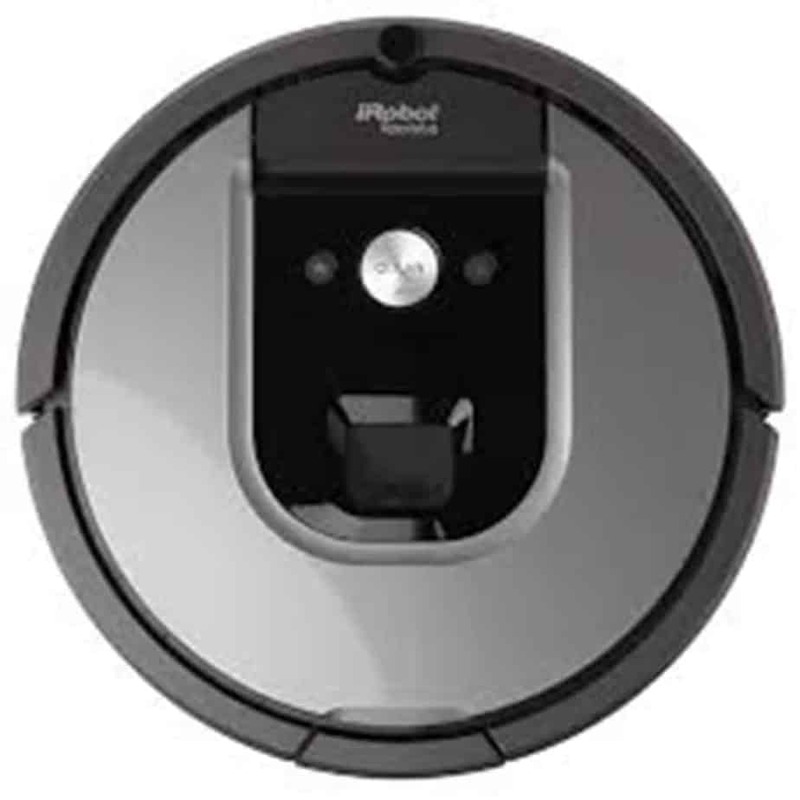 A relatively recent addition to the world of vacuum cleaners, robotic models really take the effort out of cleaning. These models move throughout your home automatically and have smart sensors to prevent them from falling down stairs or bumping into walls. Robotic vacuums are perfect if you want your floors cleaned while you’re away or you’re a multi-tasker and don’t want to devote time to vacuuming. This is the top of our list for a reason. While it’s an enormous investment for such a small machine, it boasts a run time of up to 120 minutes before recharging and resuming. 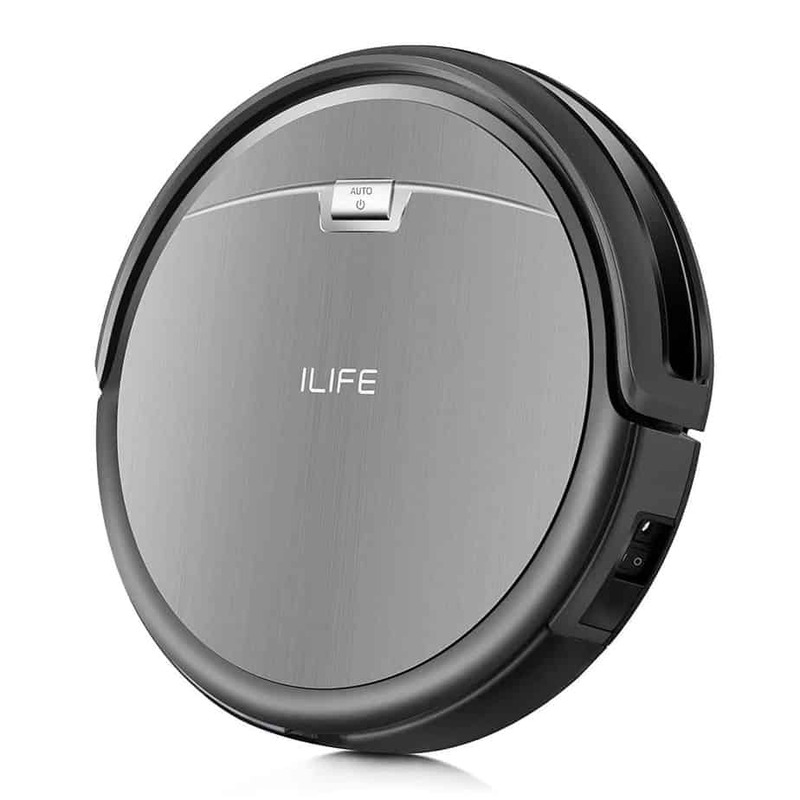 Its multiple programmable features make it the best in easy cleaning. 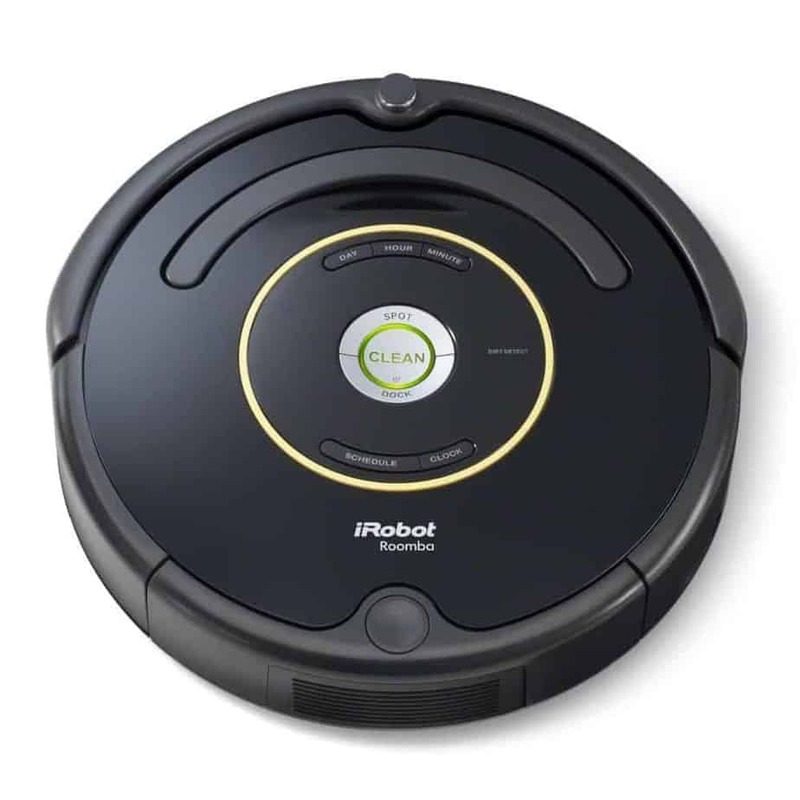 A more moderately priced Roomba, this version still packs a punch. You can track and run the robot from your app or use it with Alexa or Google Assistant. Use caution if using on dark rugs though, as it tends to not work well with those. 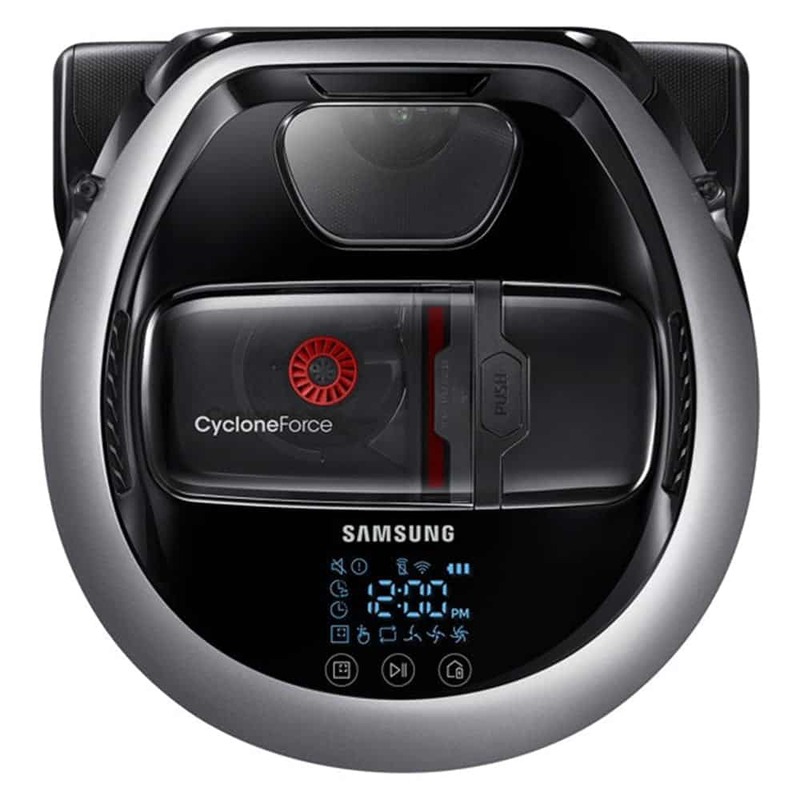 For such an affordably priced model, this vacuum will run for up to 140 minutes before having to recharge. Its smart sensors ensure it won’t bump into your furniture and it offers both manual and scheduled cleaning options. While you’ll have to clean the filter often, it does do a good job of picking up pet hair. 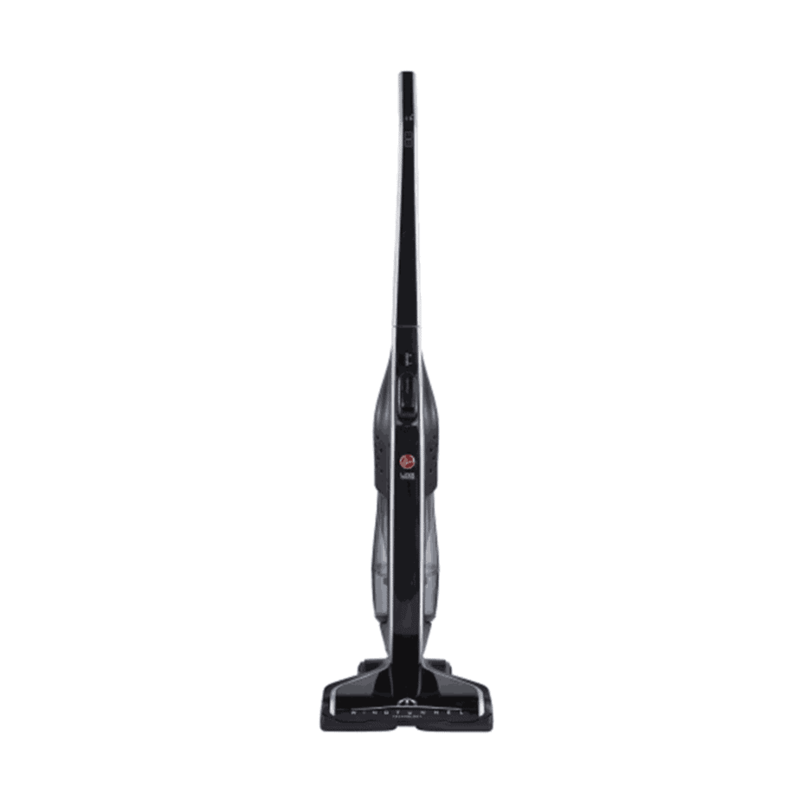 This vacuum has an especially low profile at just over 3 inches, making it perfect for cleaning those hard-to-reach spots under your furniture. With a spacious dustbin and three cleaning modes, it makes cleaning a breeze. This one works best on simple floor plans that the robot can navigate easily. 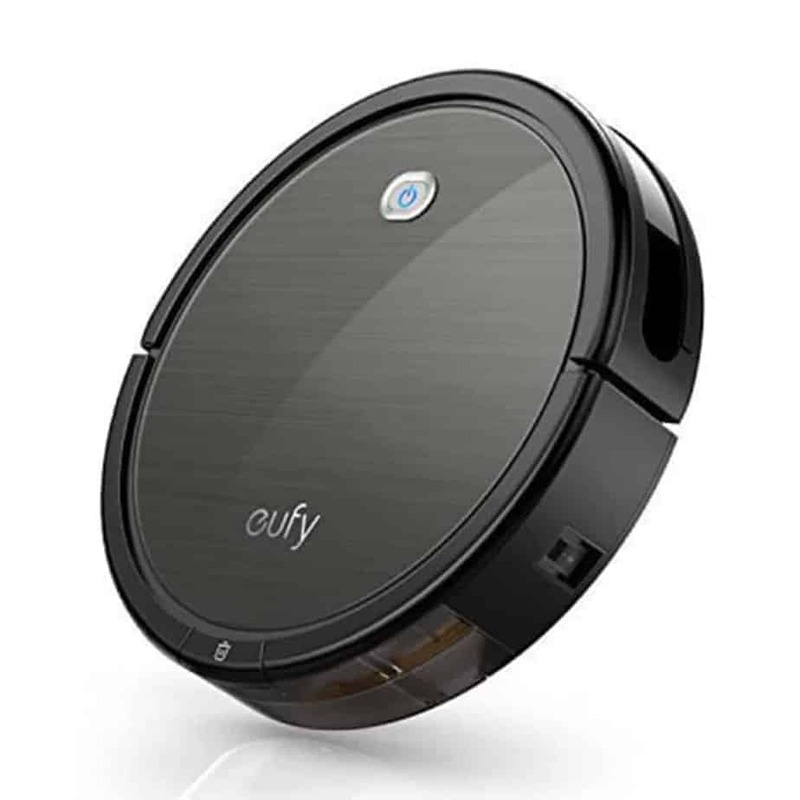 At around $250, this is one of the more affordable robotic vacuums on our list. It has extra-long battery life and can connect to smart app and voice-activated controls. It runs pretty quietly, too, making it perfect for late night cleaning while you sleep. 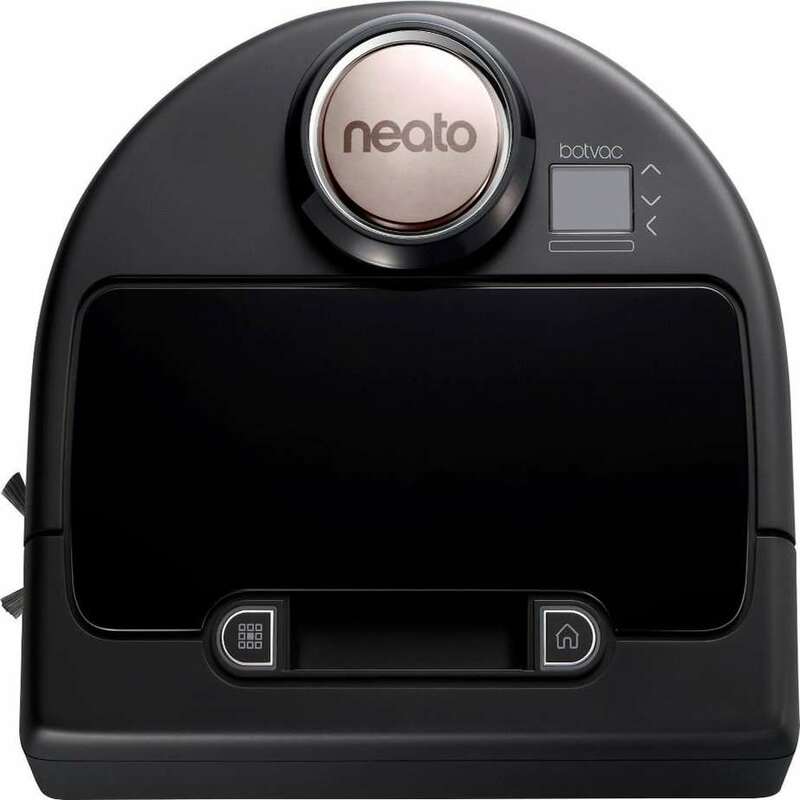 This little robot is a cleaning powerhouse. It has a self-cleaning brush that lifts dirt and debris from carpet easily. 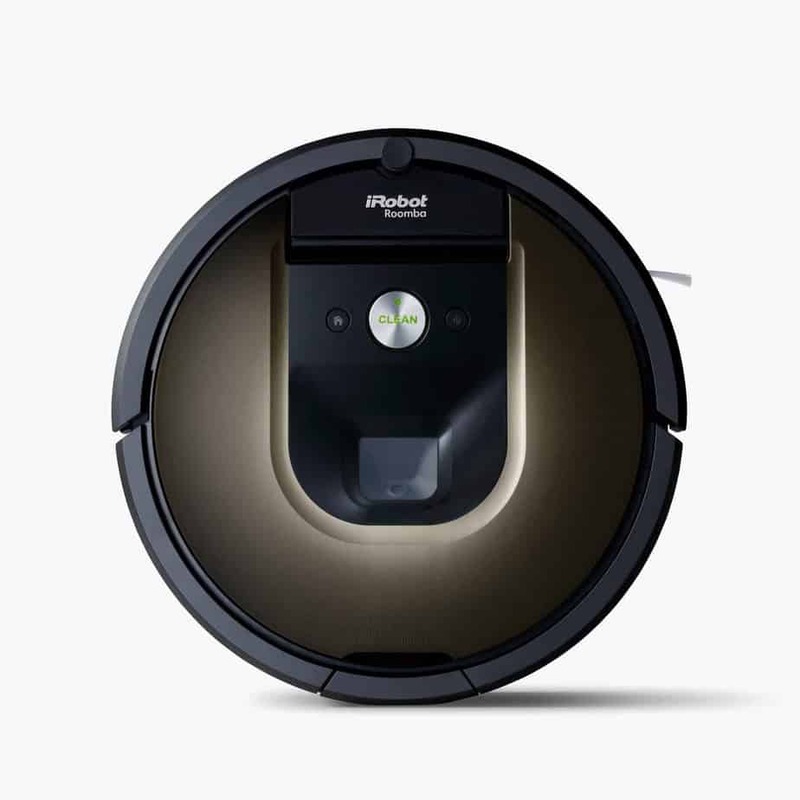 It also has an onboard camera and 9 different sensors for navigating through your home as it cleans. 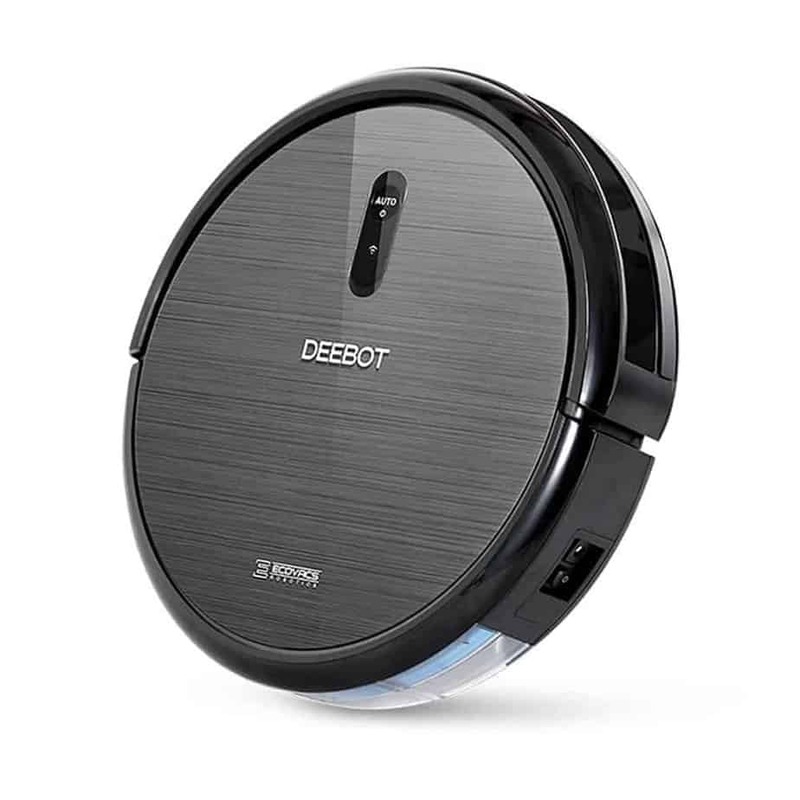 Unlike most robotic vacuums, this model doesn’t utilize a circular design, but instead opts for a D-shape. This is ideal for cleaning against walls and getting into those tough-to-clean corners. 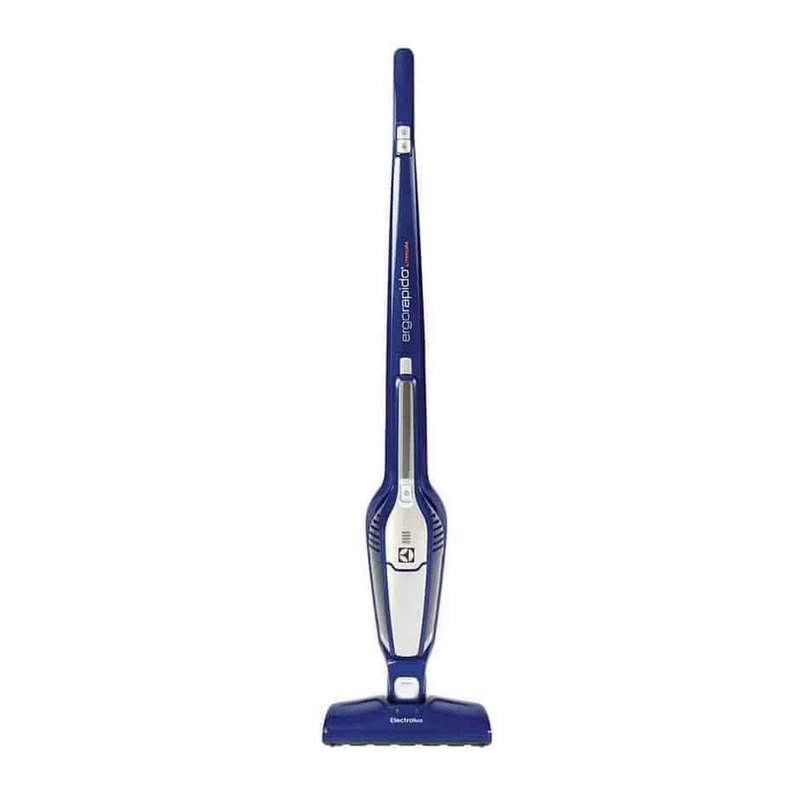 It has a large cleaning brush and two cleaning modes, ensuring your floors are thoroughly cleaned every time. 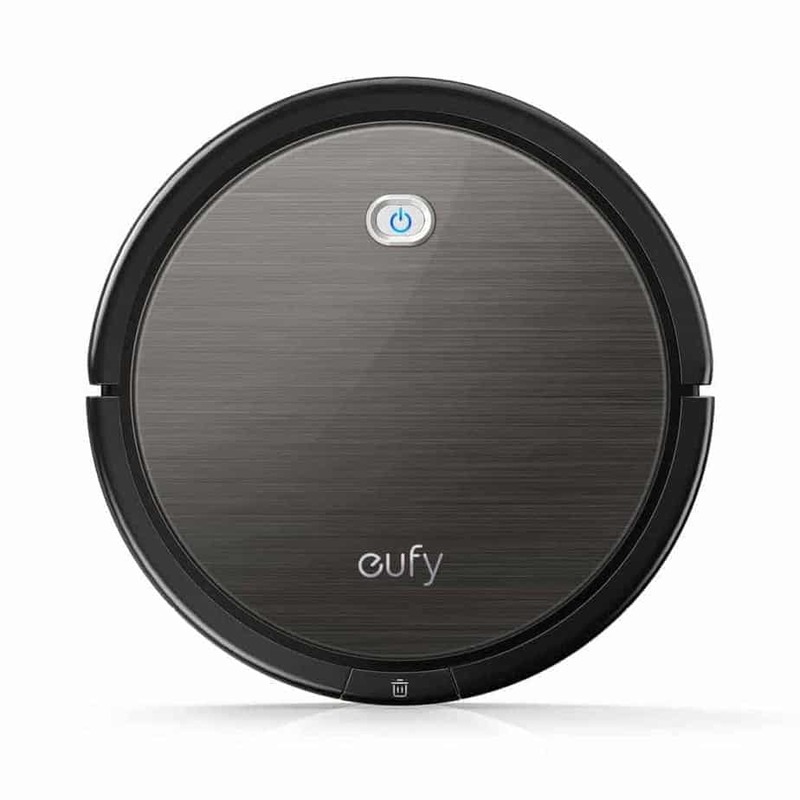 This is an upgraded version of Eufy’s RoboVac. In this model, they included an upgraded bumper and improved suction inlet. 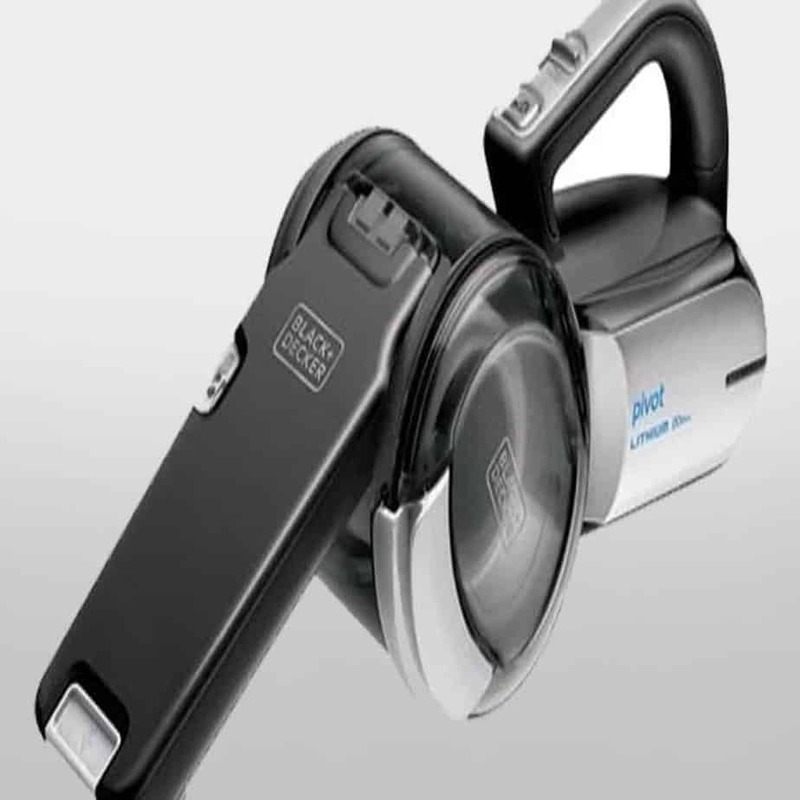 It’s a quiet little vacuum with a lot of power, featuring a power boost option for cleaning carpets and deep messes. 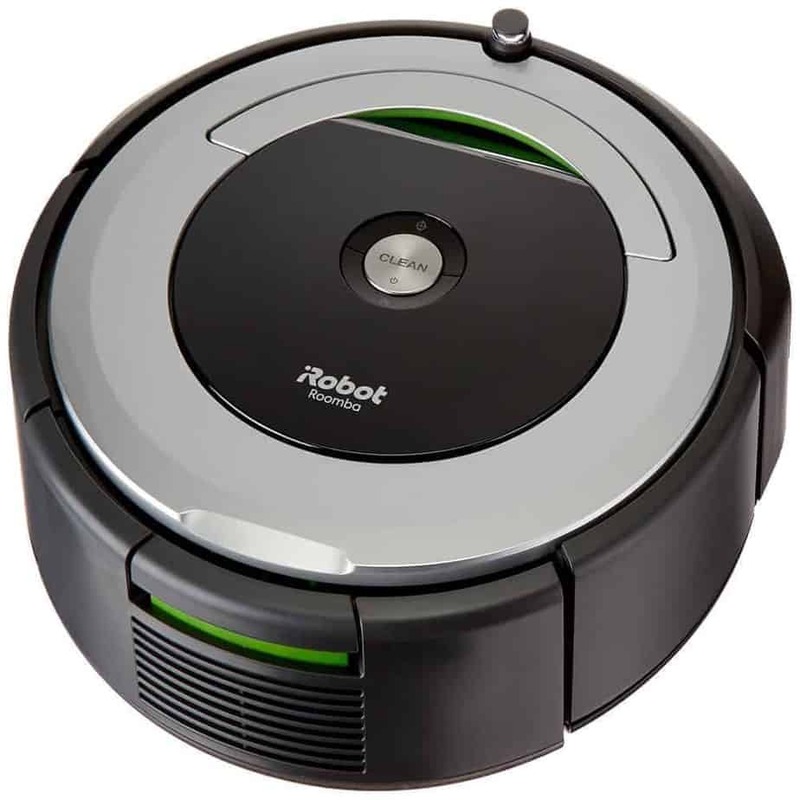 It doesn’t have the longest run time of all the robotic vacuums, but it does have a lot of power and added features. It offers return and resume charging so it will clean, charge, and then continue cleaning. It uses visual navigation to clean efficiently and thoroughly. Works with Alexa, Google, etc. This little robot doesn’t mess around. It’s a more basic model but it still does the trick, cleaning thoroughly with two different brushes. You can schedule it to clean while you’re away, or turn it on manually. Canister vacuums are essentially two-part vacuums. They have a canister that collects the dirt and usually houses the motor and a separate hose and brush. These models allow you to clean spaces that would be difficult with other vacuums, like staircases and under furniture. 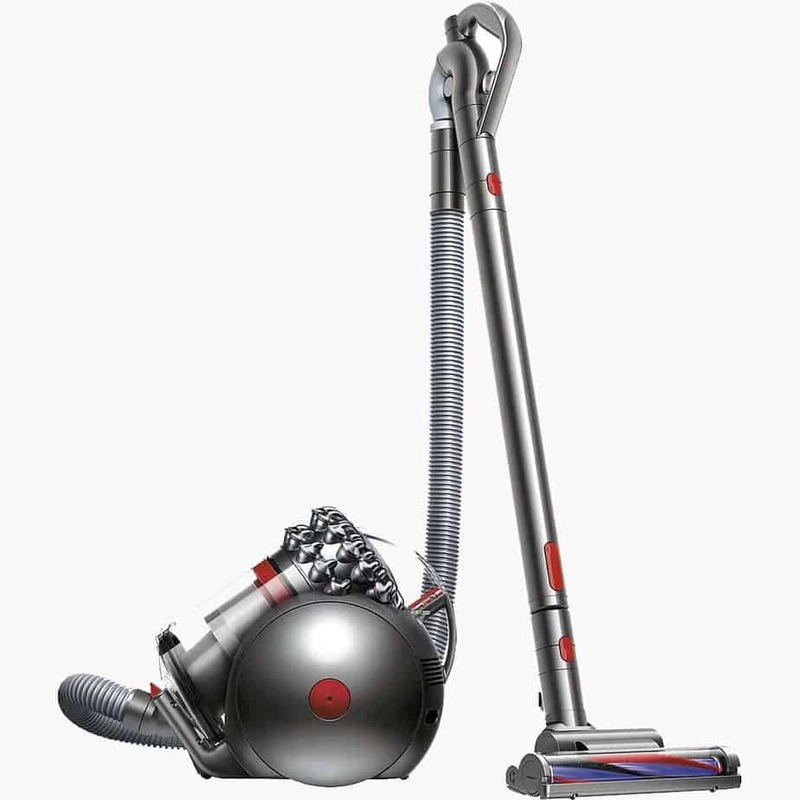 Dyson strikes just the right balance between style and functionality with this model. Its ball steering design turns on a dime and cleans thoroughly. With high-strength filters, this model is great for allergy sufferers, too. The Miele is a bit pricier than the Dyson, but has a lot of great features. Its six-speed motor manages to still be very quiet, and it has two specialized heads for cleaning both hardwood and carpets. The one downside is that it’s pretty heavy, but it has great suction power. This little vacuum isn’t the flashiest machine out there, but it does the trick. At 15 lbs, it’s easy enough to roll around, and its compact design makes it easy to store. 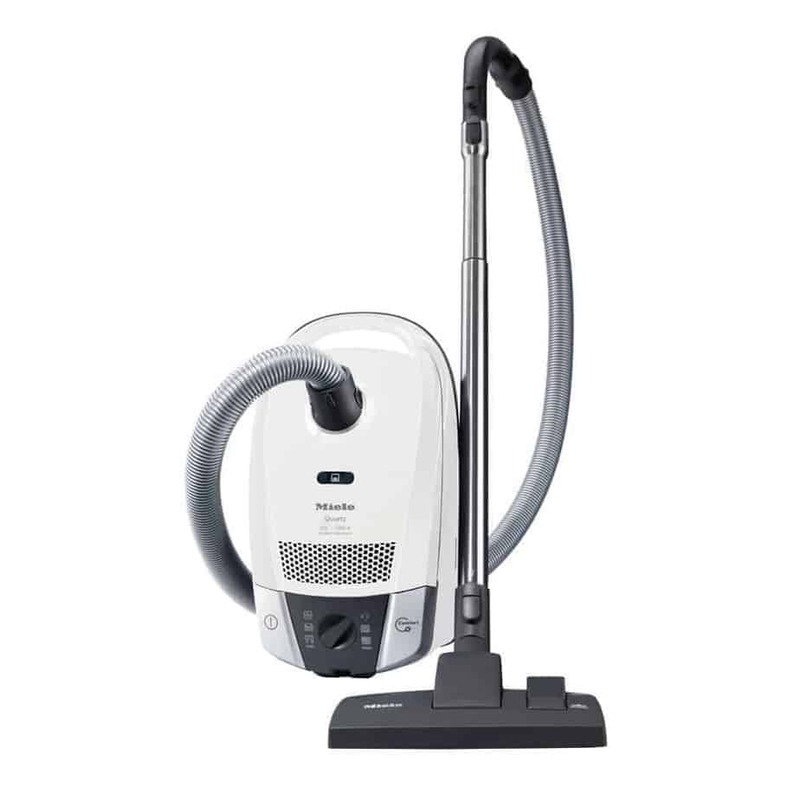 It still features the signature Miele six-speed motor for specialized cleaning. 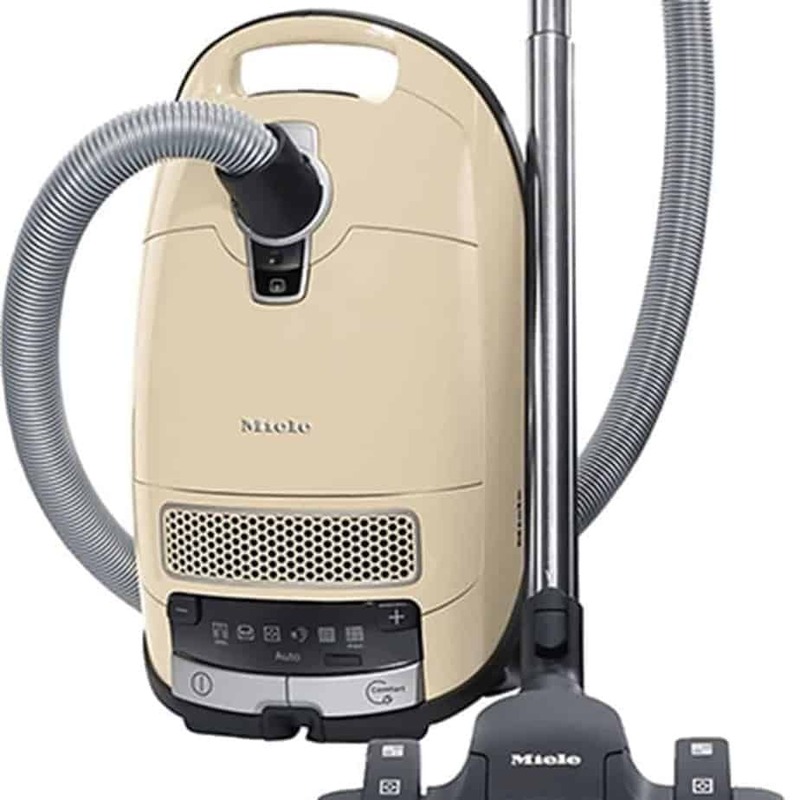 This vacuum combines all the best of other Miele products and then ups the ante. It’s a bit on the heavy side, but it comes with a variety of attachments and tools. 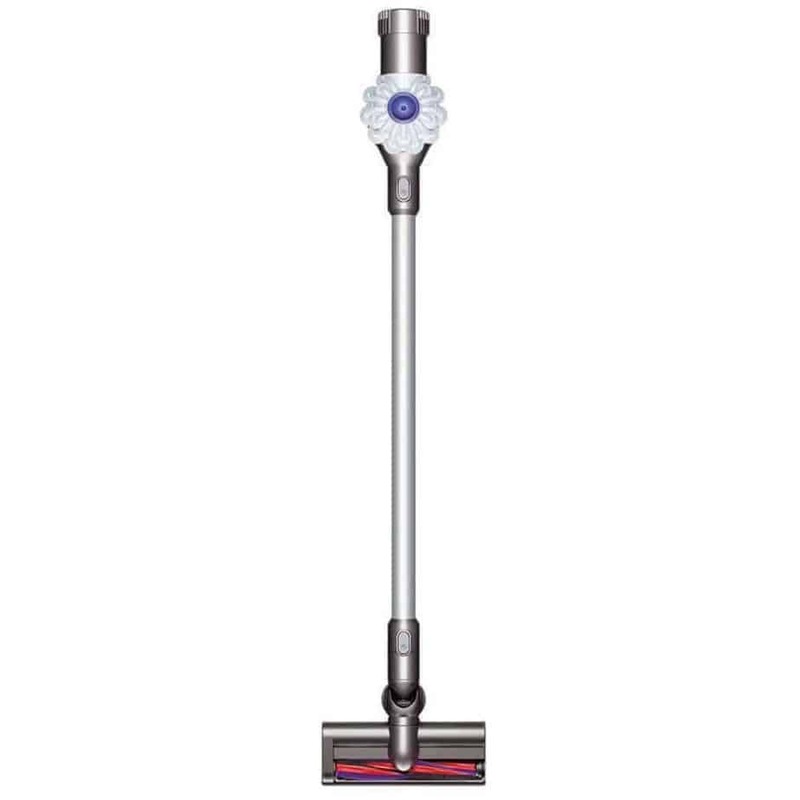 It’s durable and has impressive suction power. At just 9 lbs, this thing is a breeze to take around your house. 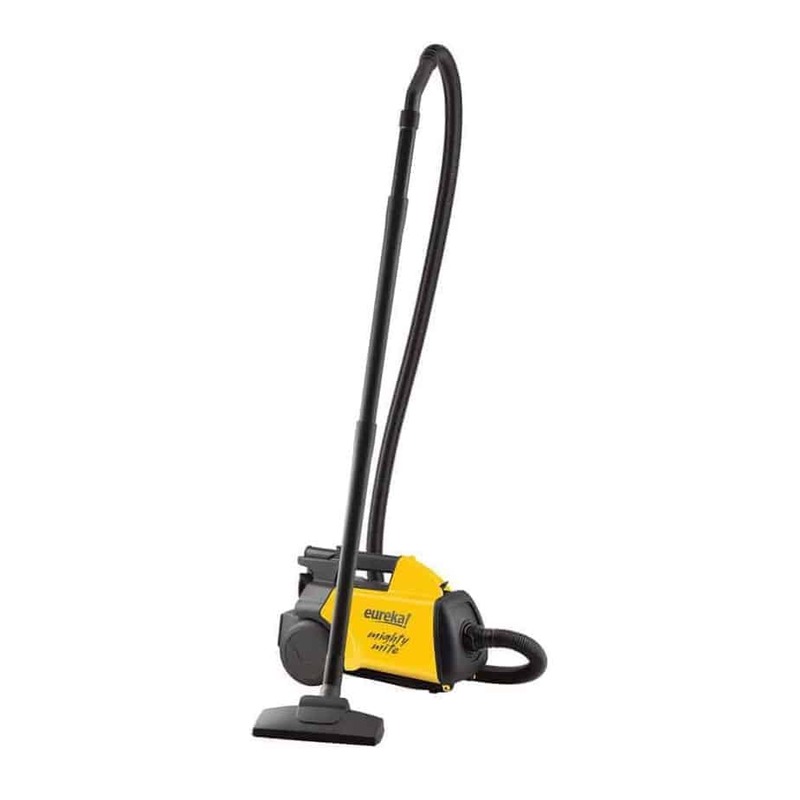 Its powerful suction makes it great for hard floors and carpet alike. Another nice feature is that the controls are on the handle, so it’s simple to maneuver. 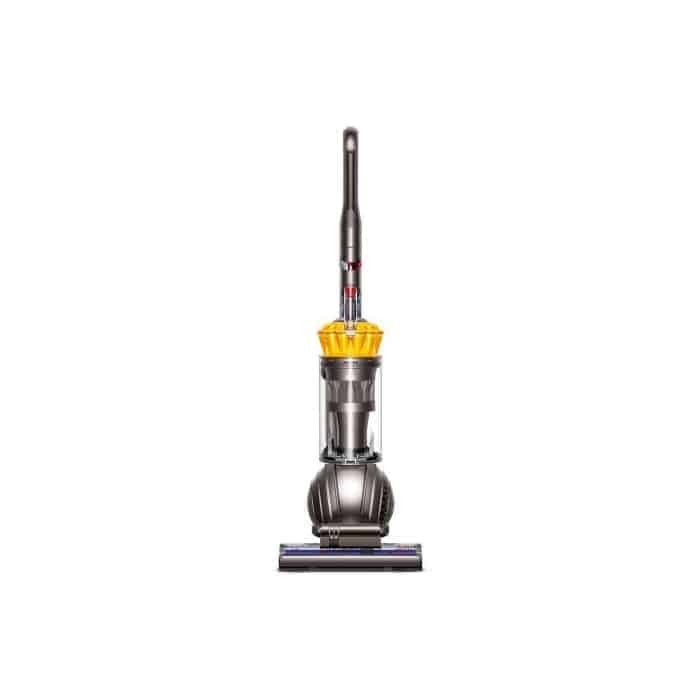 This vacuum is a bargain at around $90. For the price, it can’t be beat. 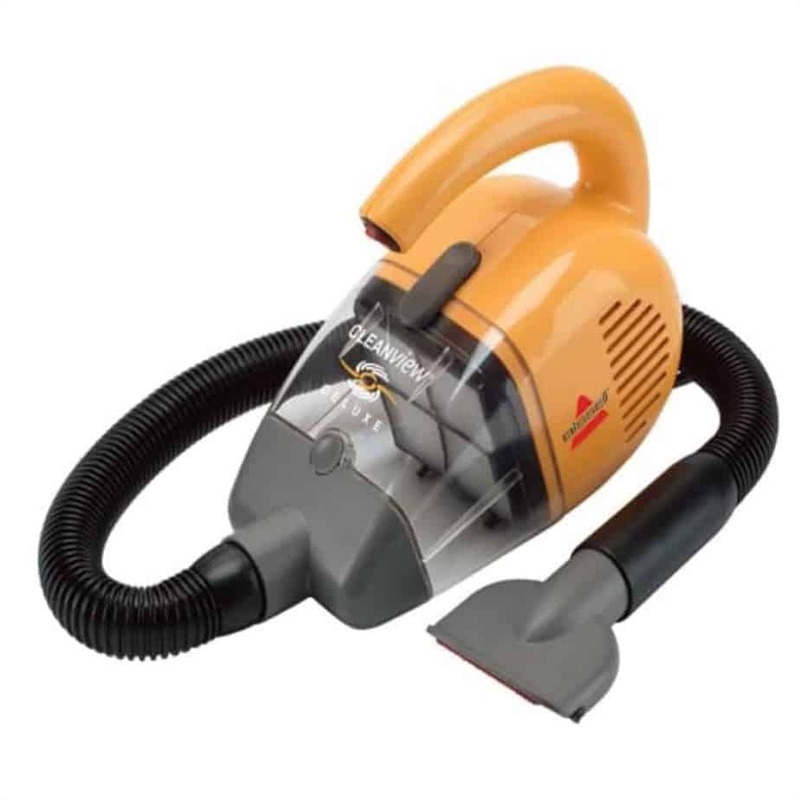 Comparable to a shop vac, it has a blower port and contains a HEPA filter to clean out any dust and debris. This Dyson has a great feature: It self-rights when it topples over. 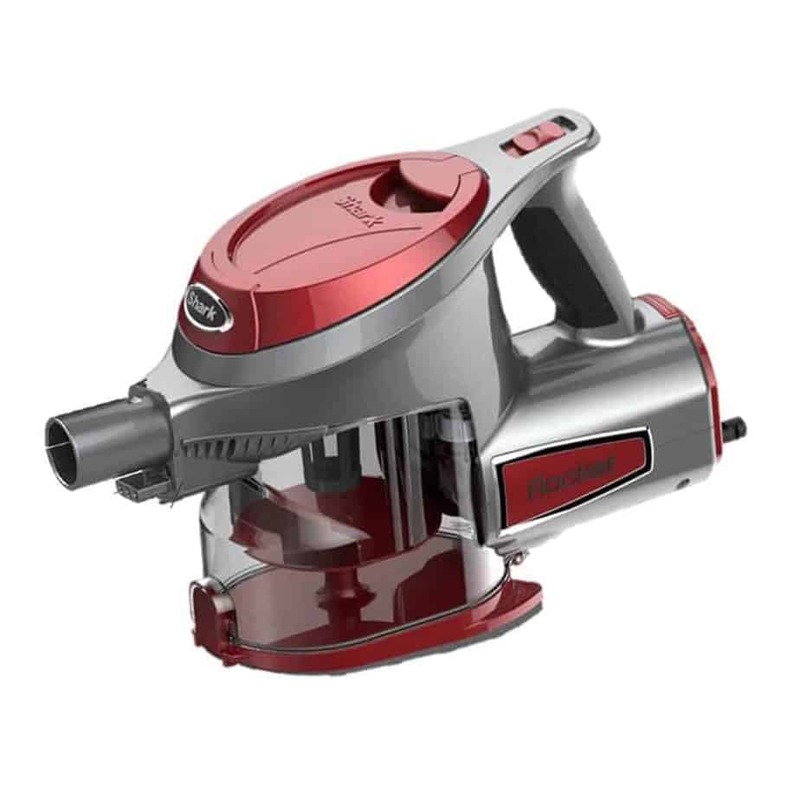 It does a great job cleaning carpets and its turbine tool picks up pet hair thoroughly without getting tangled. With no bags or filters to wash, it’s easy to clean and manage. Its suction can make it hard to push over carpets, however. 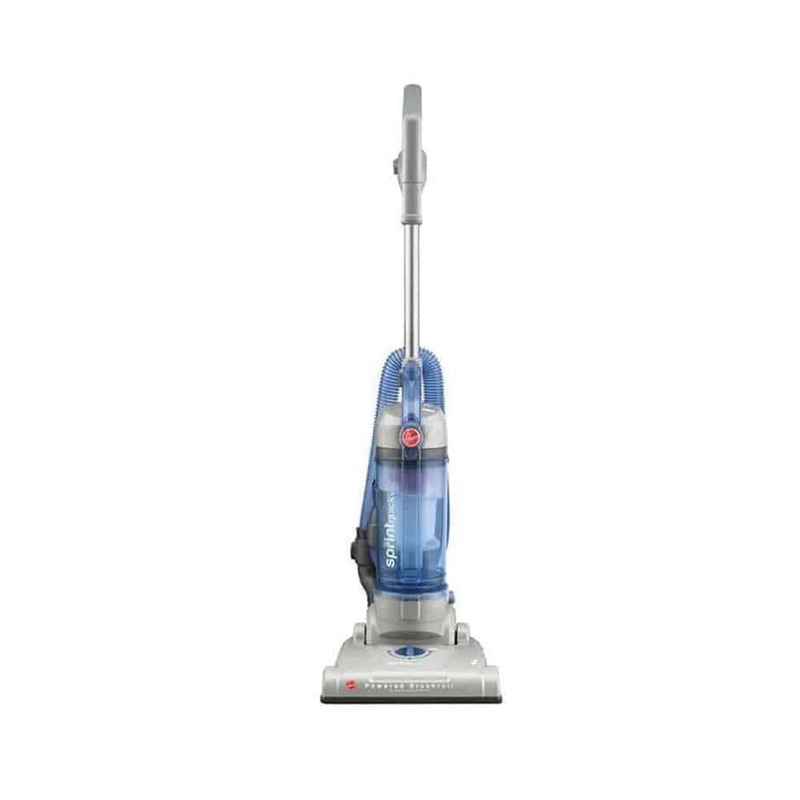 If you have a spacious home, this might be the vacuum for you. It has a 36-foot operating radius to reach across even the biggest rooms. It’s fairly lightweight and runs quietly. Its thorough filtration system makes it ideal for allergy sufferers. At only 8 lbs, this Hoover is super lightweight. It features a reusable bag and a built-in blower, and its cord is long enough to reach across most any room. It’s a great model for commercial use, but can also be used in your home. This Bissell gets high marks for how quietly it runs. It’s a little bulky, but it makes up for it with incredibly high-powered suction. Ergonomic handle controls make it easy to use. 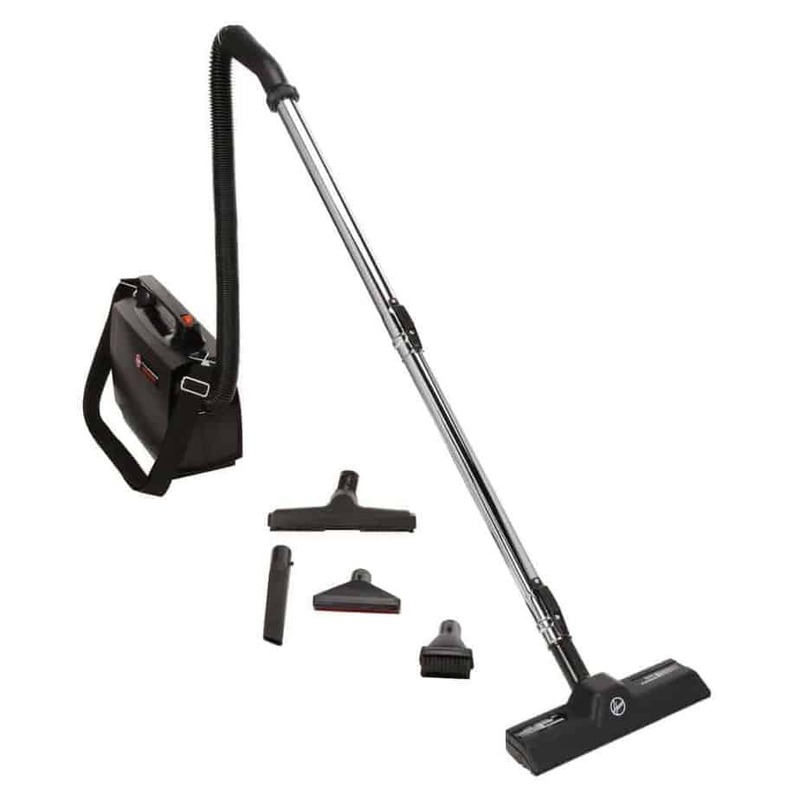 Stick vacuums can vary in design but are generally lightweight, easy to carry, and often more affordable than their upright counterparts. These are perfect for light cleanups around the house. They’re also ideal if you live in a small space like an apartment and don’t have a lot of extra space for storage. This little Hoover has a 40-minute battery life, so you can clean large areas without having to recharge. It even has a little fuel gauge to show you how much battery is left. It’s easy to assemble and easy to maneuver through your house. 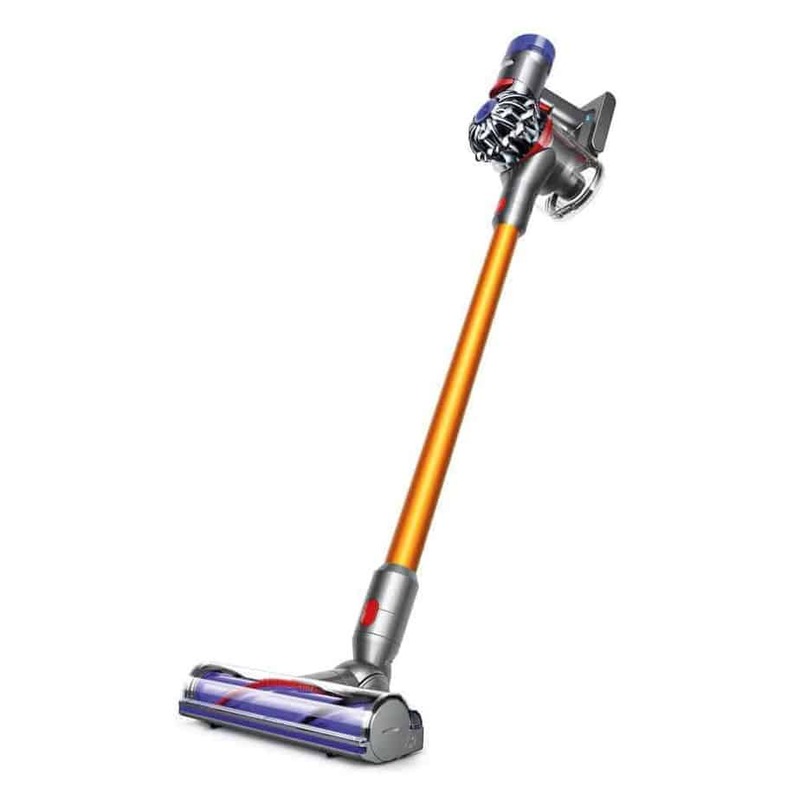 At only 6 lbs, this Dyson is a breeze to carry around your home. 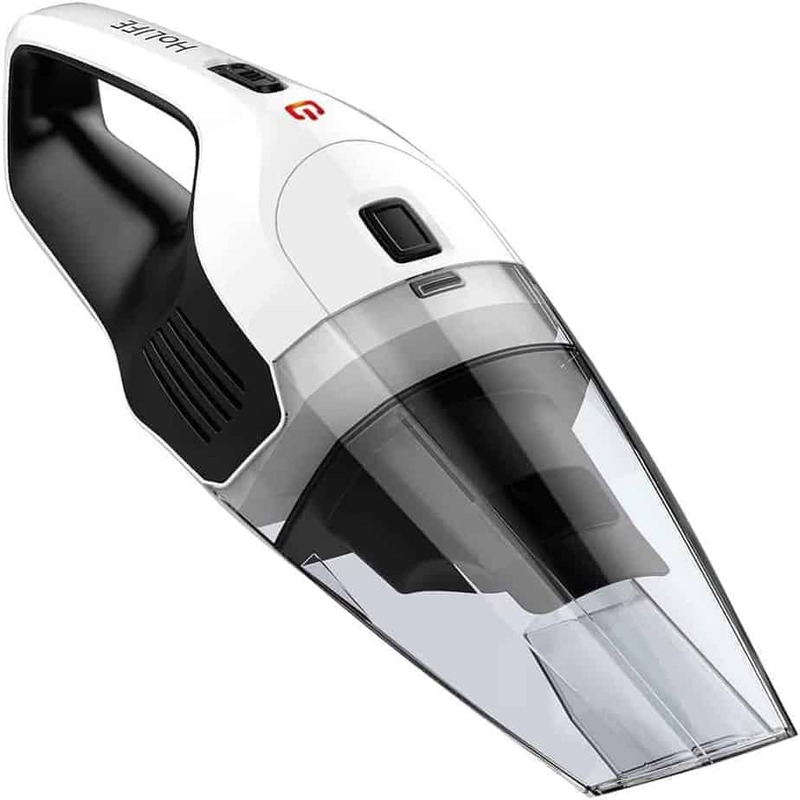 It features powerful suction, and it has the ability to transform into a handheld vacuum. Its HEPA filter means the highest level of filtration, making it good for allergy sufferers or areas with a lot of dust. This little powerhouse is only 5 lbs. Its cordless feature makes it easy for anyone to use. Its battery life is only 20 minutes, but it reaches a full charge in about 4 hours. It’s a great model for quickly tidying small areas in your home. 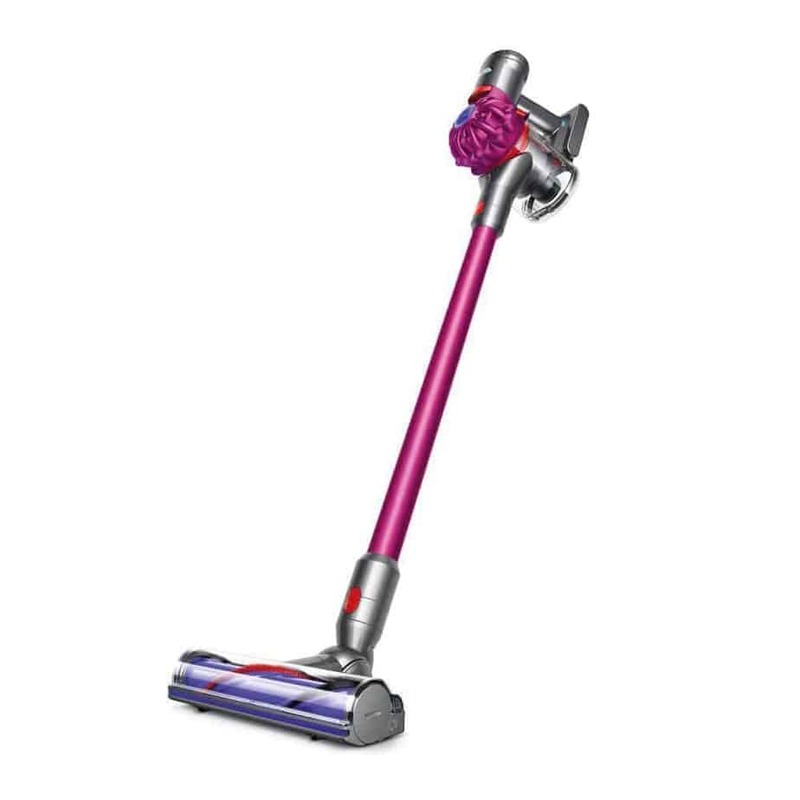 This 5 lb Dyson has two modes: regular suction and max mode. Max mode decreases the battery life, but will give you an extra boost for cleaning carpets or bigger messes. 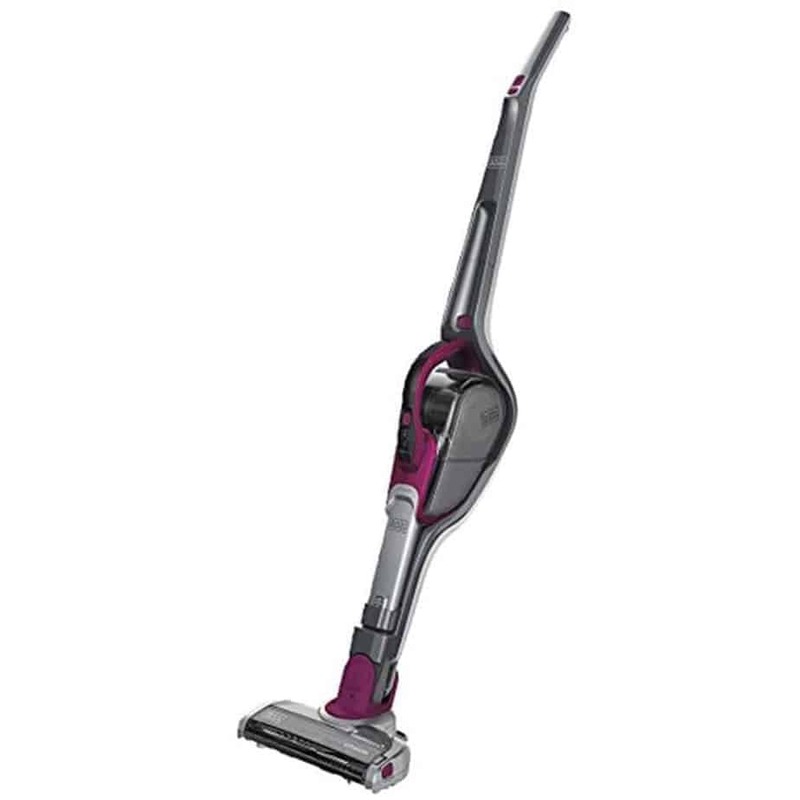 Its battery life on regular suction will give you up to 30 minutes of clean time. 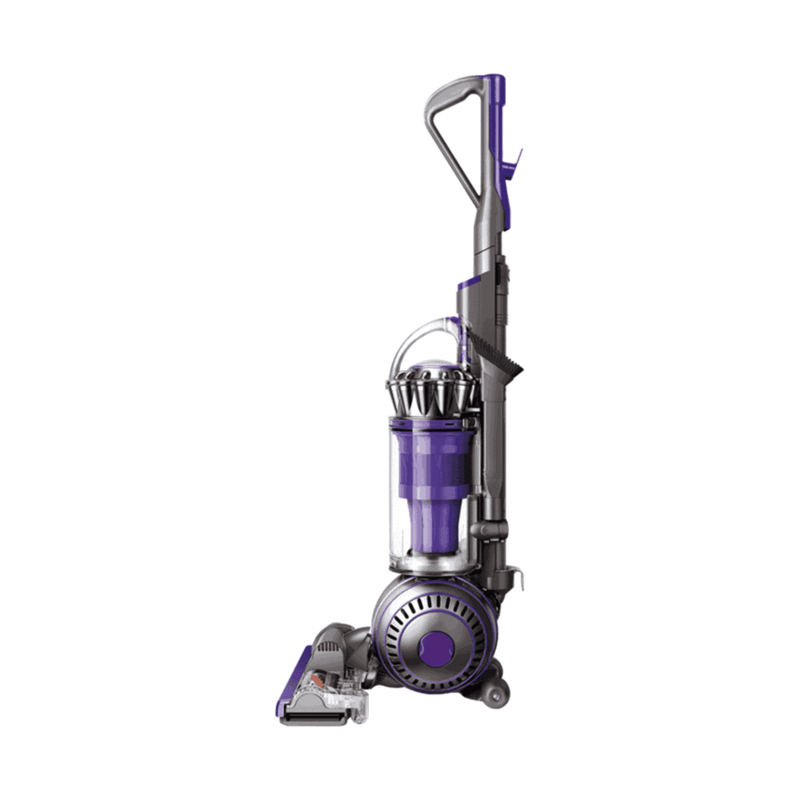 This is Dyson’s cheapest model, but it’s a nice machine. It’s only 4.5 lbs, which means you can clean ceilings or tough-to-reach corners without getting tired. It doesn’t have a long battery life, but it’s perfect for touch-up cleaning around your house. Shark has a lot of great features built into this model, and they don’t charge an arm and a leg for it. Its two-speed brush roller picks up hair and dirt from carpet and bare floors. It’s under 8 lbs, making it manageable for most anyone to use around the house. This Hoover is affordable on just about any budget. It’s corded, so you don’t have to worry about running out of power and recharging. For quick pick-ups around your house, it’s a great model. This sleek little model weighs only 9 lbs and takes up very little storage space. Its detachable handheld device is a great added feature for picking up small messes. Its sensors tell you when the filters or batteries are running low. 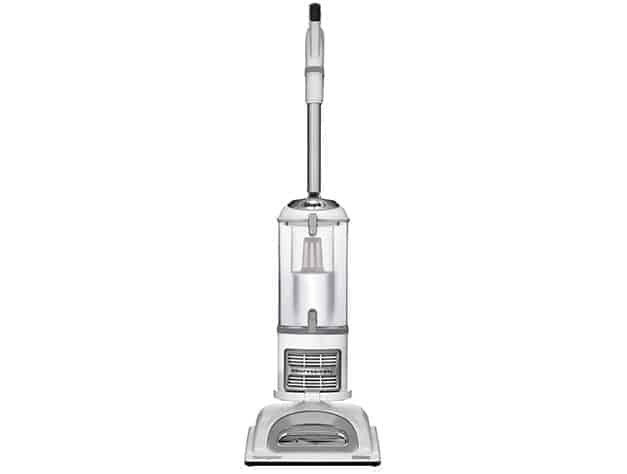 This is a moderately priced vacuum with all the features you know and love from Hoover. Its reclining handle allows you to easily vacuum under furniture. It transitions well from carpet to hardwood. 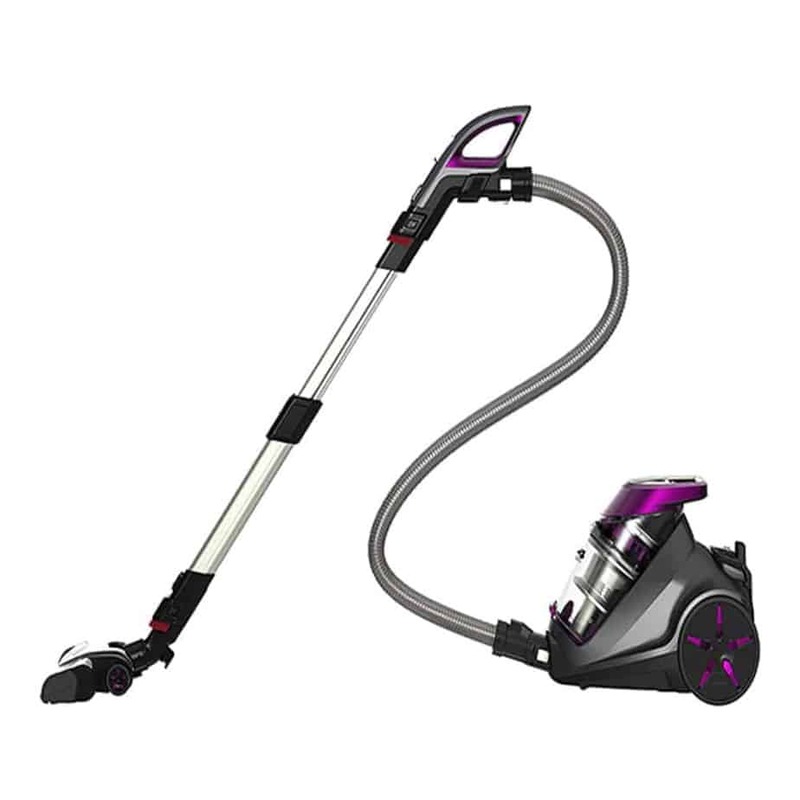 Anyone in the family will be able to push this vacuum around the house — it comes in at less than 6 lbs. Its foldaway handle and compact design make it easy to store in any hall closet. It picks up light pet hair well and works best on hard floors. Upright vacuum cleaners are what you might know as traditional vacuums. As the name suggests, they stand upright. They can have bags or they can be bagless. They might come with attachments, but the basic structure consists of a vacuum that is pushed from a handle at the top. These vacuums work well on carpets and are best for all-purpose housecleaning. In the world of upright vacuums, Shark does a standout job. This model is our top choice because of its high suction power, ease of use, and lightweight, portable design. In addition to being powerful and convenient, the price point makes it an ideal value. This Shark model is a beast, and it’s just what you need if you have a pet who’s prone to shedding. Its motorized brush makes easy work of messes from your furry friends. An added bonus is the detachable canister for cleaning those hard-to-reach spots. 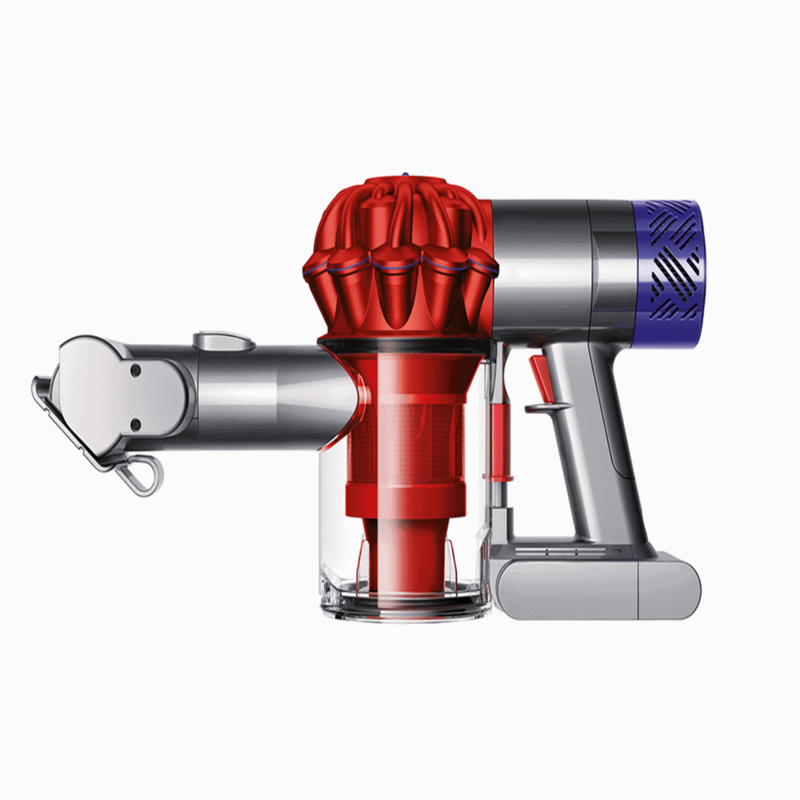 Dyson has a reputation for creating powerful vacuum cleaners, and this model is no exception. 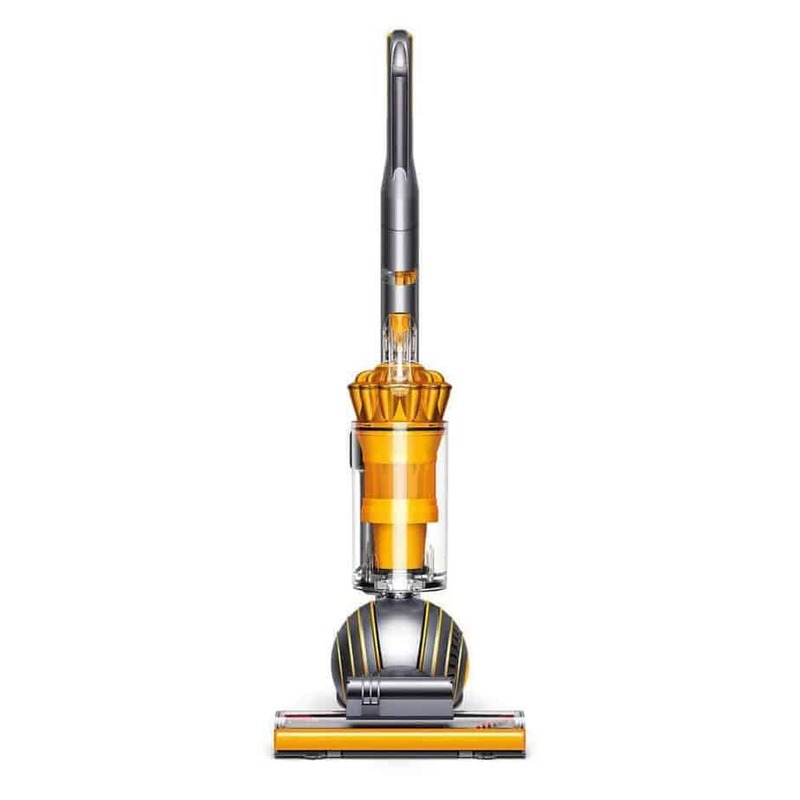 With impressive suction, a HEPA filter, and their well-known ball technology, this vacuum is no joke. 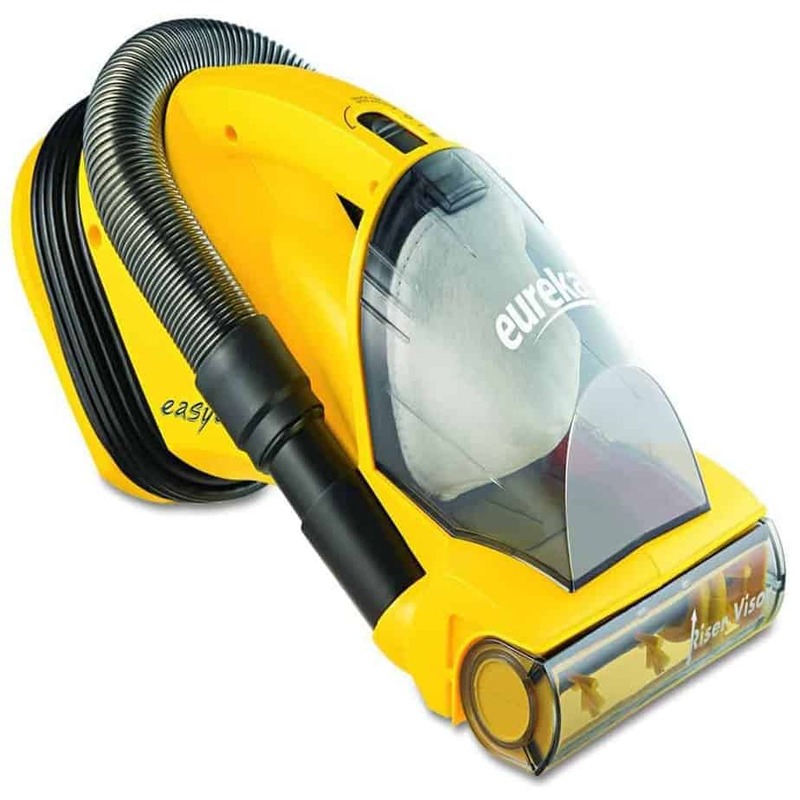 This model is specifically aimed at pet-owners and features exceptional fur-cleaning power. A slightly cheaper alternative to the previous Dyson, this one still features strong suction and ball-steering technology. However, it’s not designed to pick up a lot of animal hair, so be wary if you have a pet that sheds a lot. For basic cleaning, though, it does an impressive job. 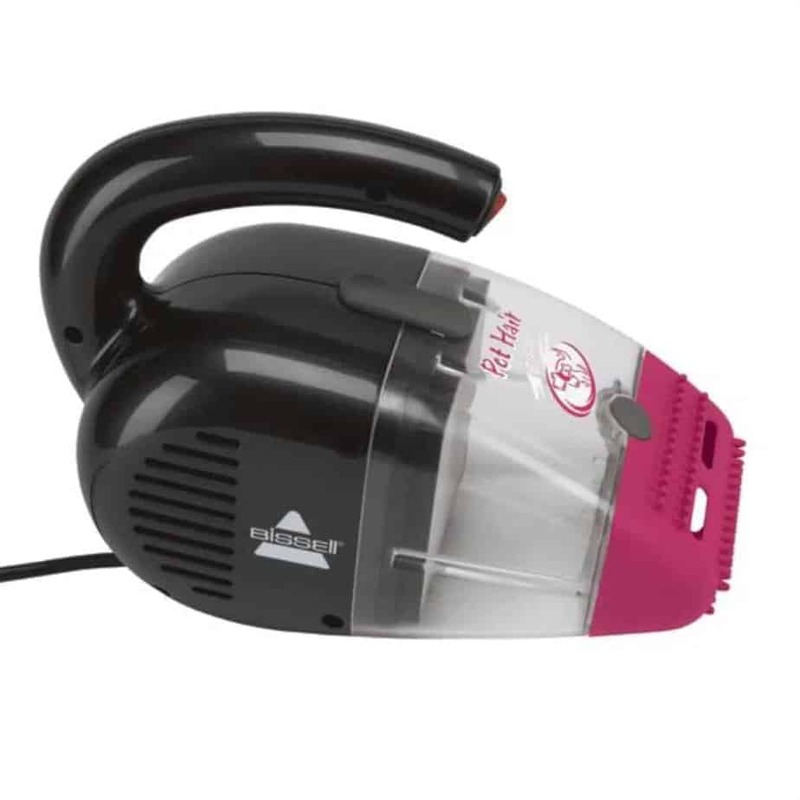 This Shark model has a detachable canister and hose so you can clean those difficult areas like stairs and corners. At only 13 lbs, it’s pretty lightweight and easy to maneuver. 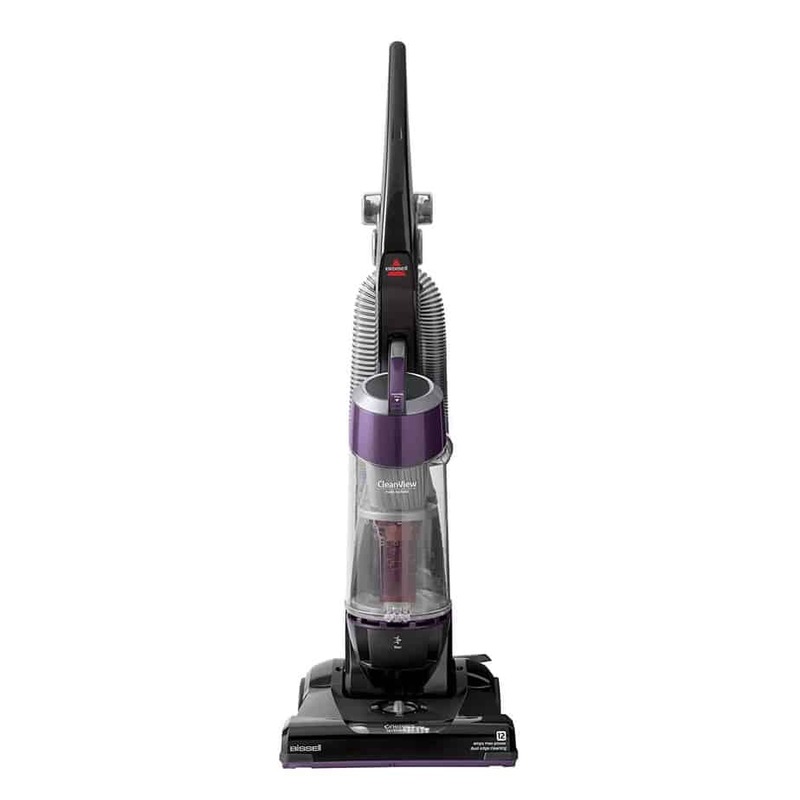 It’s also one of the more affordable vacuums on our list, but it still offers strong suction power. 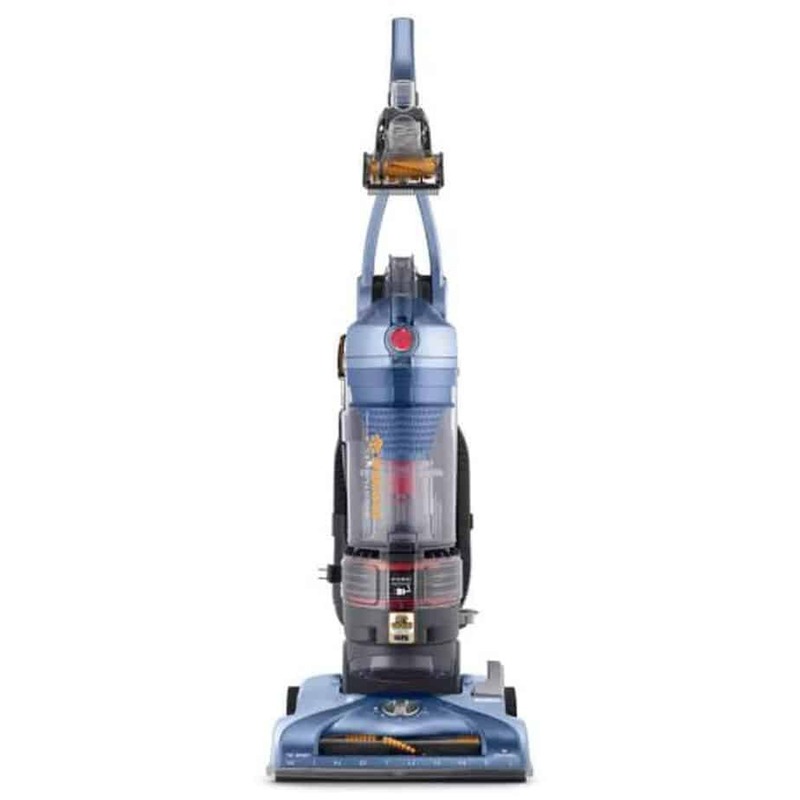 It’s hard to beat this price for an upright vacuum. 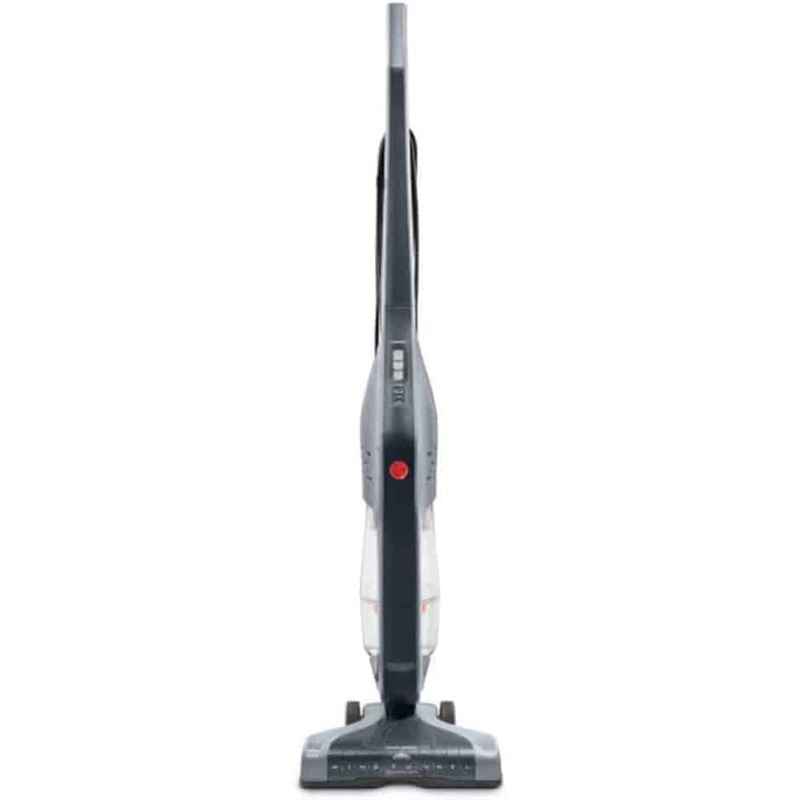 This Bissell, coming in at under $80, features washable foam filters and includes a TurboBrush attachment for thorough cleaning of stairs and furniture. 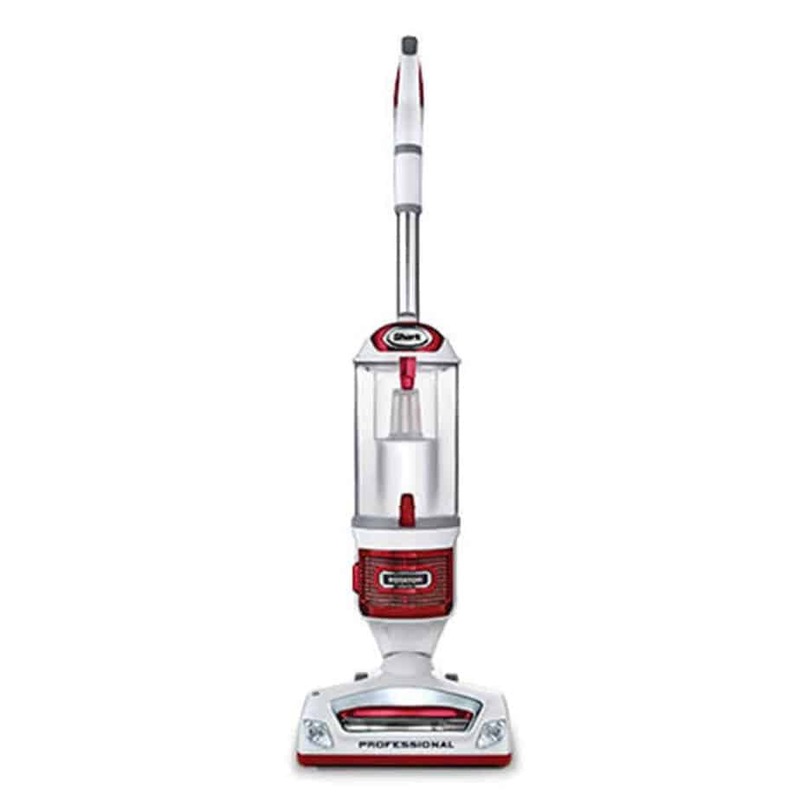 It’s not great if you have pets or are cleaning lots of heavy messes, but otherwise it’s a bargain powerhouse. 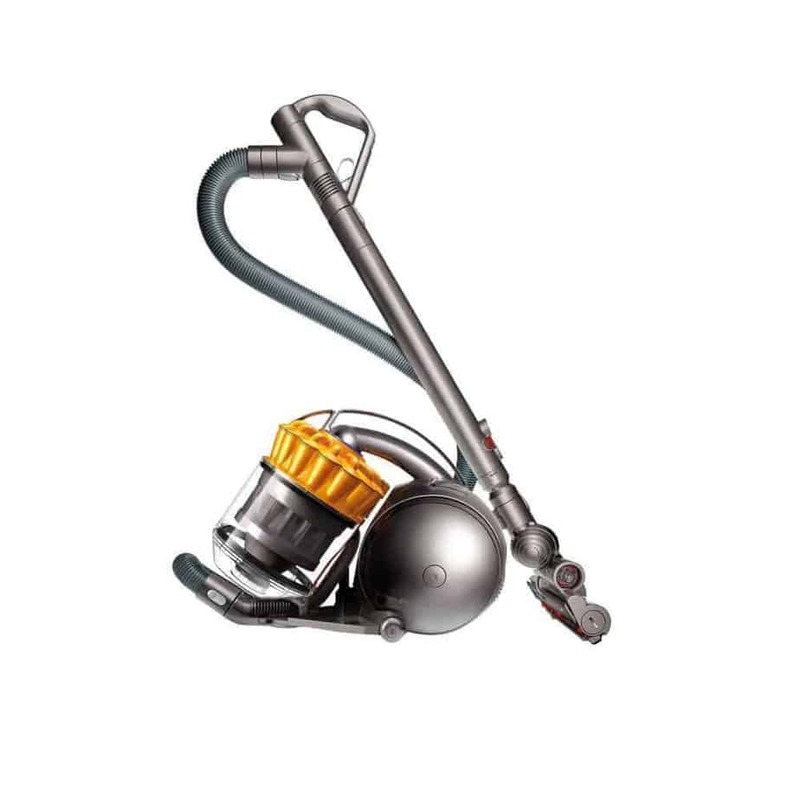 This Dyson features a slim design: It is smaller and lighter than some of the other models. But despite weighing only 15 lbs, it still manages to have powerful suction. The detachable hose is a nice feature, adding an extra 10 feet to the vacuum’s reach. In a lot of places, Hoover is still synonymous with vacuum. This one in particular is not the fanciest model on the market, but it does the trick and is a great value. 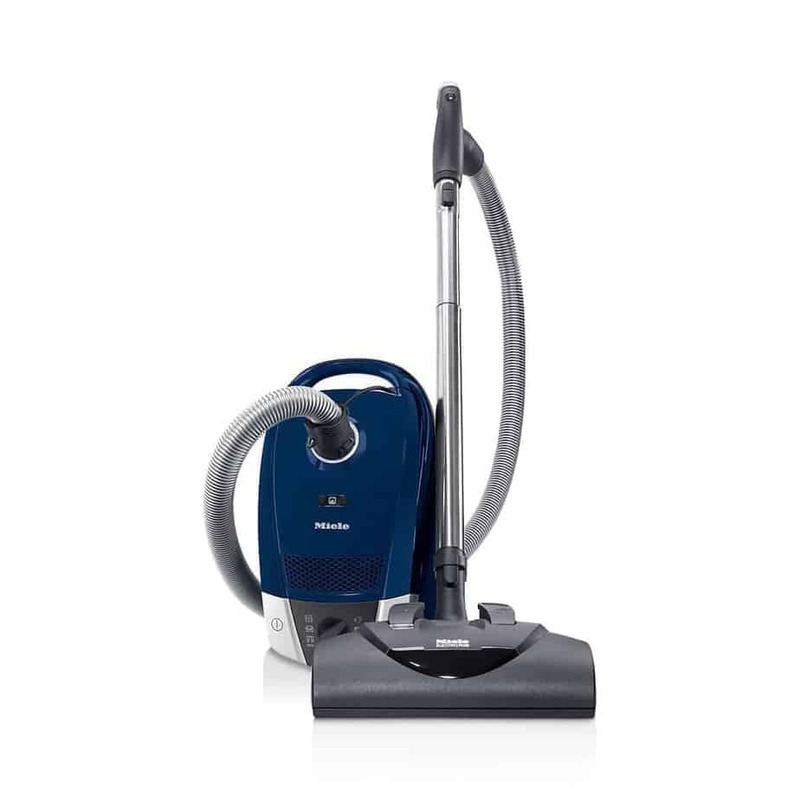 If you don’t have heavy messes but want a reliable all-around cleaner, this vacuum is a good bet. 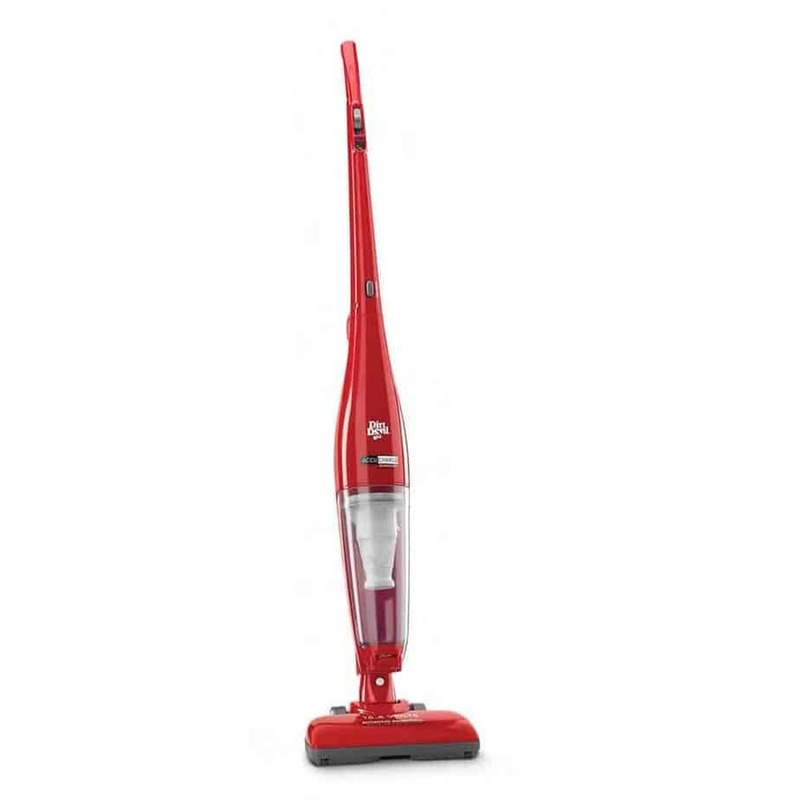 What’s great about this model is that despite being a pretty basic vacuum, it does a great job cleaning and covers all your bases. Its fold-down handle makes it easy to store without taking up a ton of space. 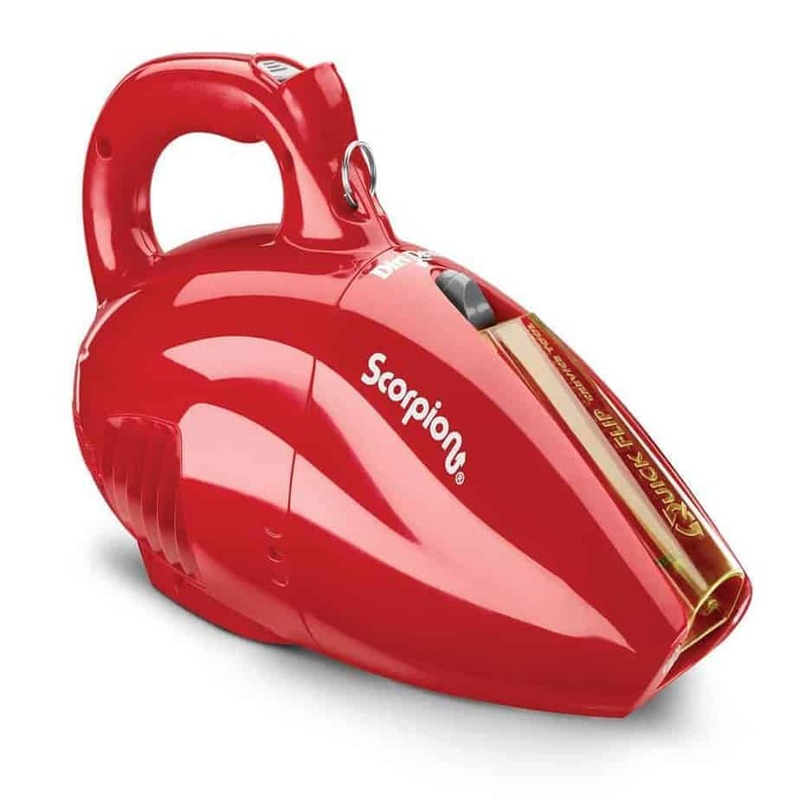 It runs a bit loud, but it’s a great value for an all-purpose vacuum. 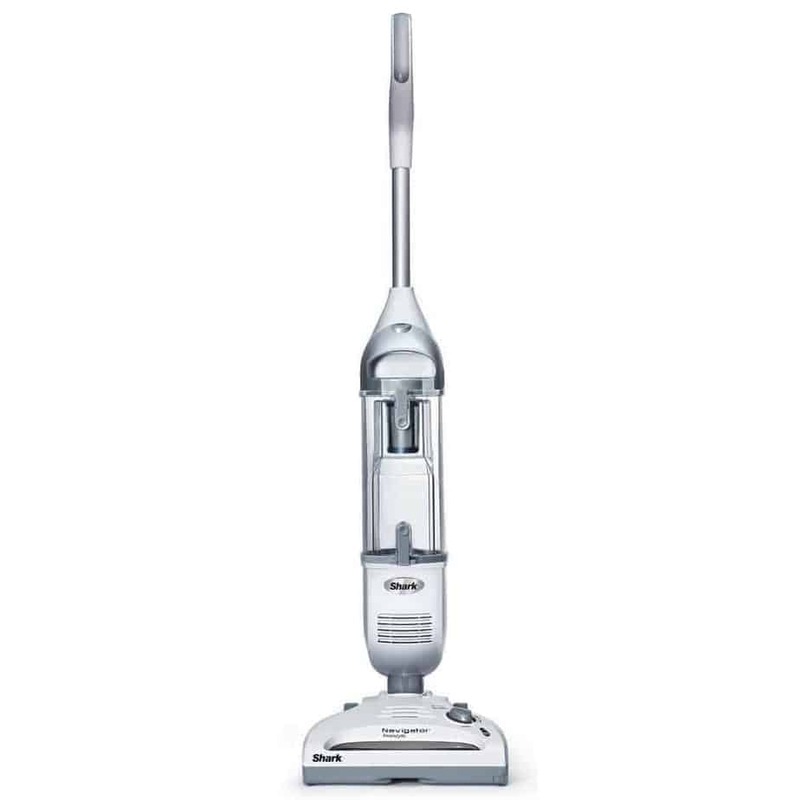 This vacuum is super affordable, especially for an upright model. If you need a basic cleaner for both hardwood and carpet, this will do the trick. It’s lightweight and good for getting those hard-to-reach spots in your house. Handheld vacuums aren’t by any means meant to replace full-sized vacuum cleaners. But they are perfect for cleaning small nooks and crannies. They’re also ideal for cleaning up small messes when you don’t want to go through the hassle of taking out the full-size vacuum. Handheld vacuums can be corded or battery powered, and they’re usually lightweight and easy to carry. Corded handheld vacuums can be a bit of a hassle, but with a 16-foot cord, this Dirt Devil can reach anywhere in the room in one go. It’s both lightweight and budget-friendly. The carrying strap is a nice feature that makes cleaning a lot easier. This handheld cleaner has a narrow nozzle that’s perfect for getting into all your home’s nooks and crannies. Its slim rotating nozzle has a flip-up brush, too. It’s cordless and takes about 4 hours to reach a full charge. Loses suction after about 10min. This model is perfect if you have pets. Its rubberized nozzle is great for picking pet hair up from furniture and upholstery, making it an ideal addition to your upright pet vac. It’s corded, which means you don’t have to worry about a dead battery while you clean. 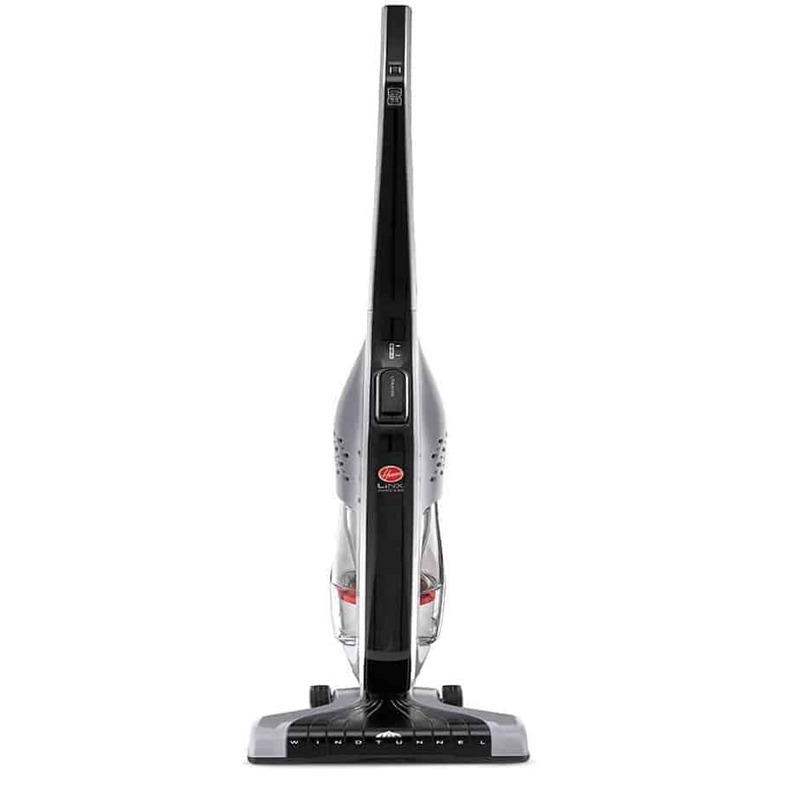 This model combines a lot of features you’d find on a full-size vacuum in a compact design. It has a motorized brush, a hose attachment, and a long cord for cleaning entire rooms. The wide nozzle means you can clean larger areas at once, too. Black & Decker built this model with a totally unique design. Its flat nozzle rotates to store compactly. You get good suction power in a device that stows small. 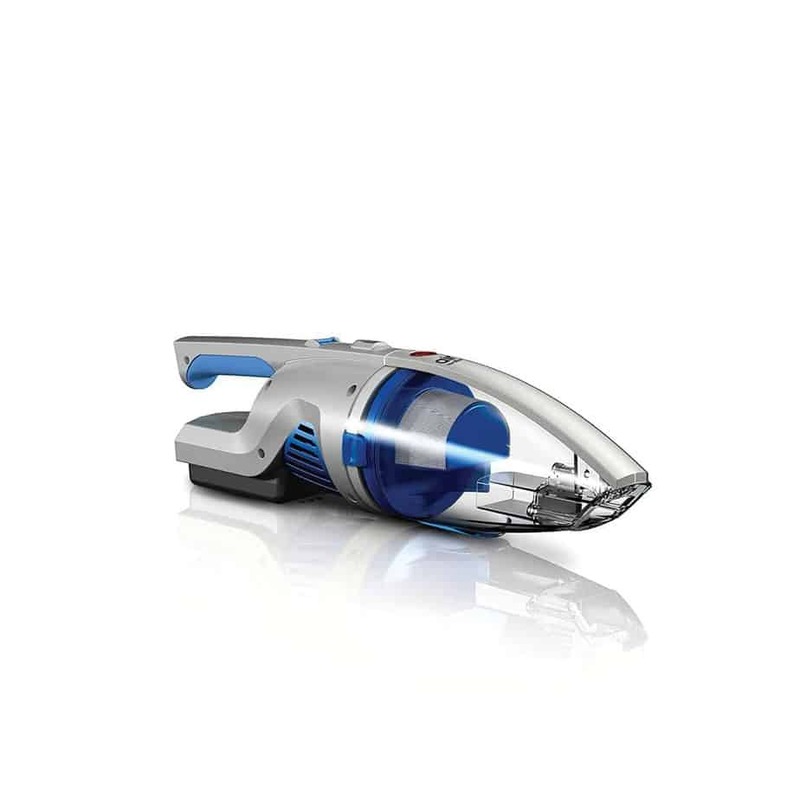 At almost $200, this handheld by Dyson is a bit of an investment. What do you get for the extra cash? Interchangeable attachments for a variety of uses (that can all be used with Dyson floor models), quiet usage, boost power for those stubborn messes, and 20-minute battery life. With boost, battery lasts 15min. 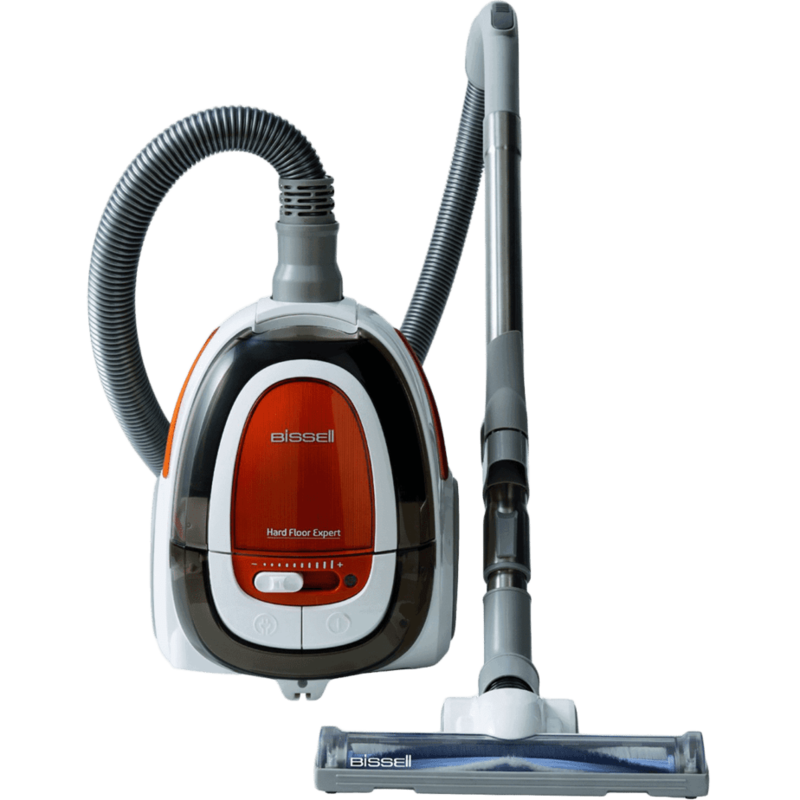 If you want a compact vacuum cleaner that covers a variety of surfaces and uses, this is the one for you. It has multiple attachments for whatever type of cleaning you’ll need to do. It’s lightweight and pretty moderately priced for all its features. At only 3 lbs, this thing is a breeze to carry around as you clean. 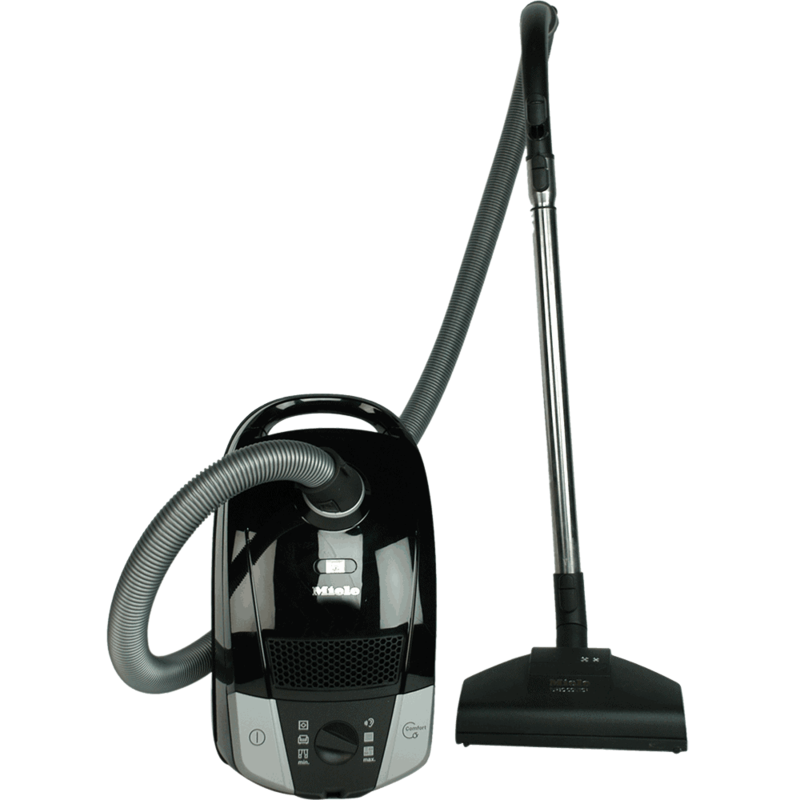 What makes the HoLife vacuum special is that it can clean both wet and dry messes. It’s small and charges standing upright, so it takes up little space. 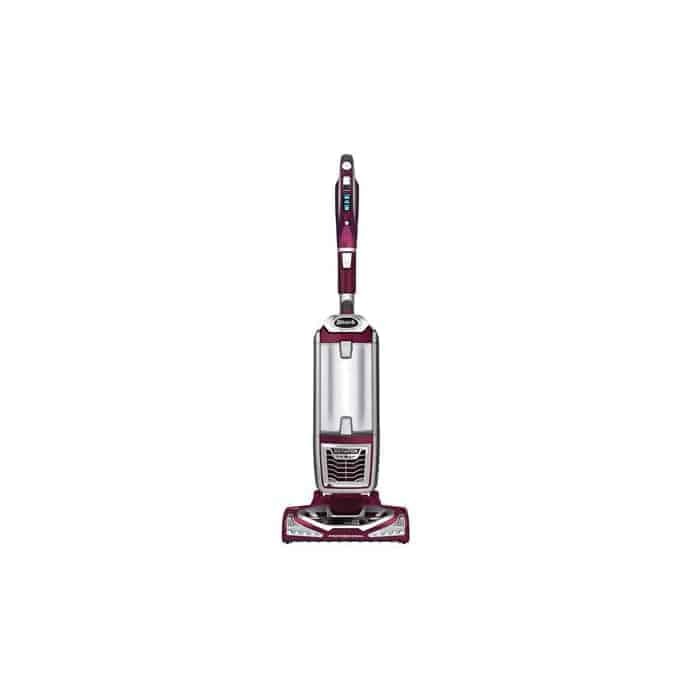 This lightweight vacuum features a zippy little design with an ergonomic handle. It’s less than 4 lbs, so it’s easy to carry around the house while you clean. It has a motorized attachment and crevice tool so you can clean all areas of your home with ease. 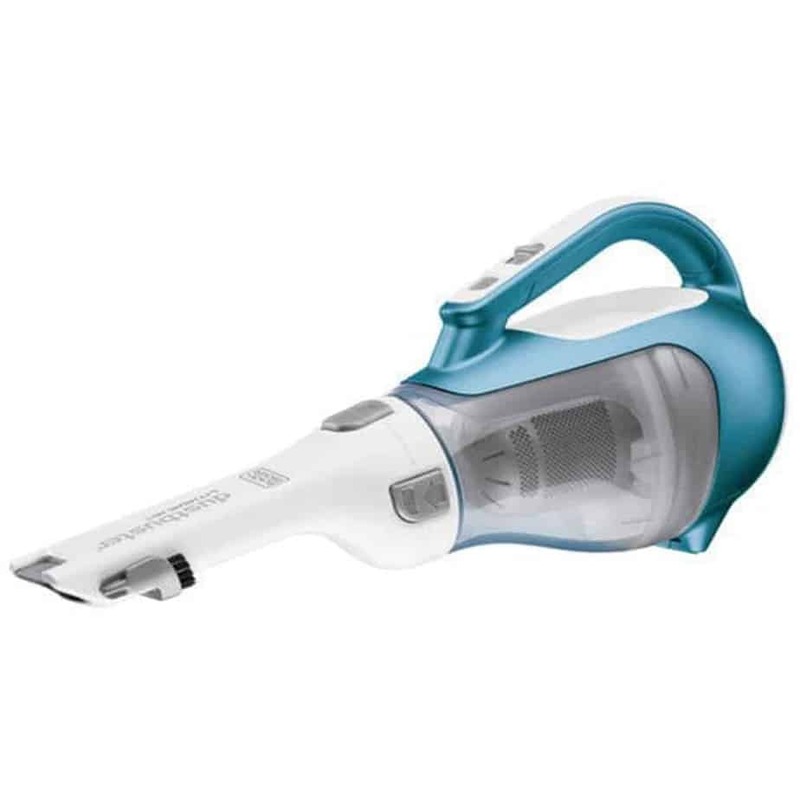 Similar to their Pet Hair Eraser model, this Bissell has a rubberized nozzle that’s great for picking up stubborn debris. Its 18-foot cord will reach all corners of the room, while the 2-foot hose extends its reach further. Nozzle and hose attachments make it an even more versatile vacuum.